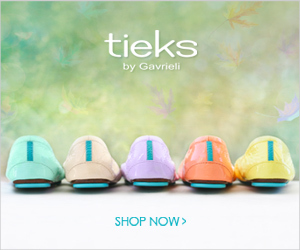 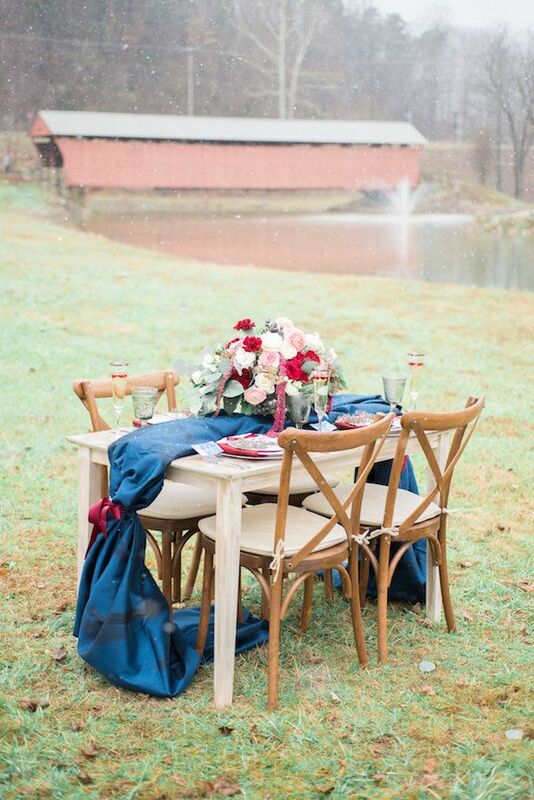 Snowflakes falling, a frosty landscape, and a color palette that will inspire you to be bold. 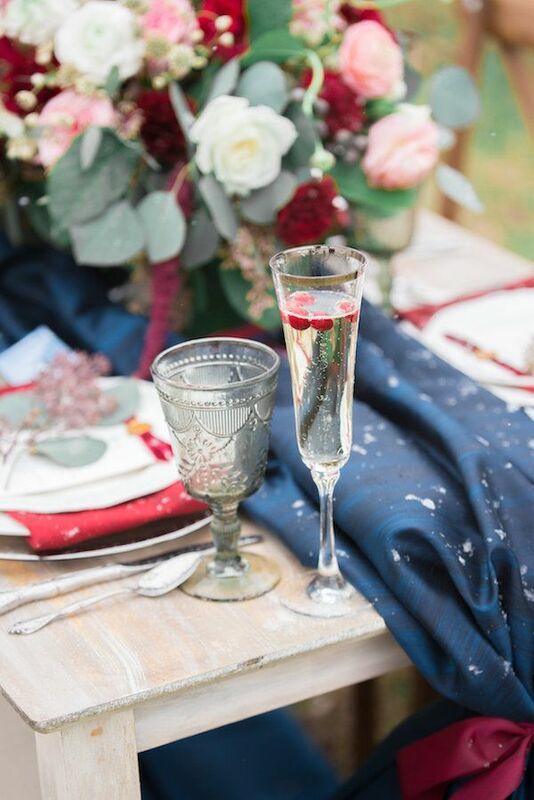 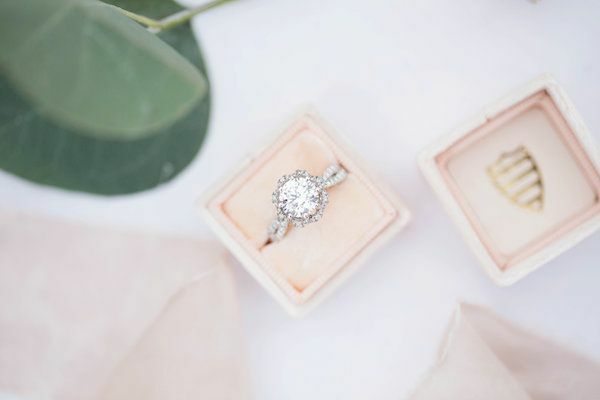 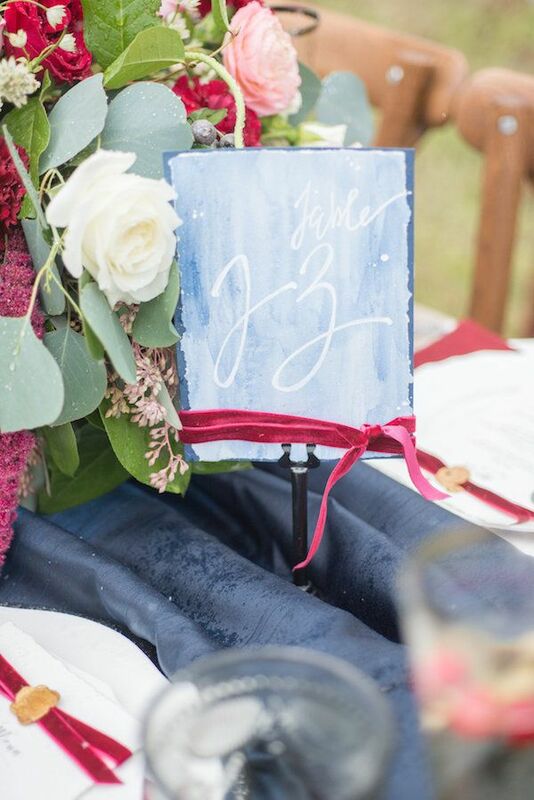 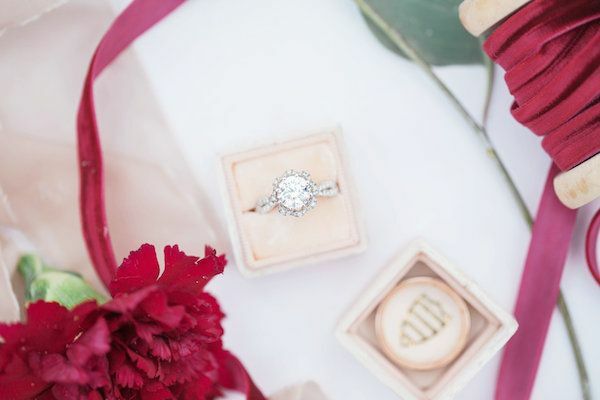 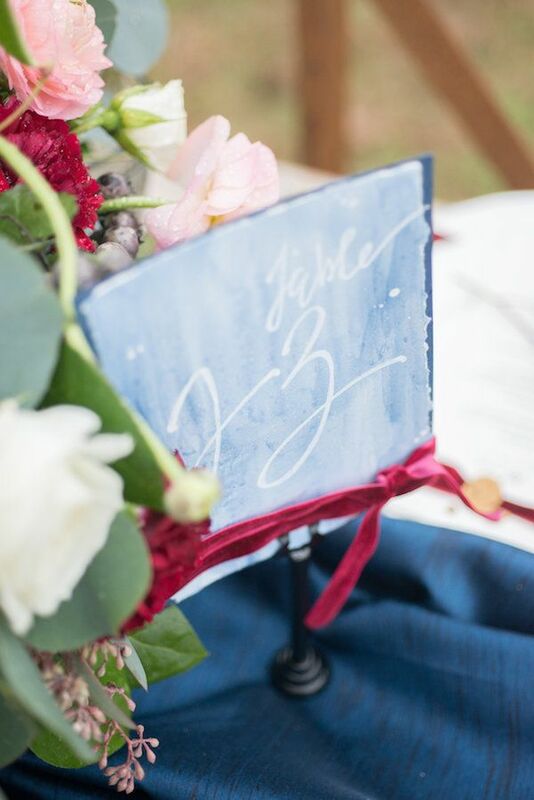 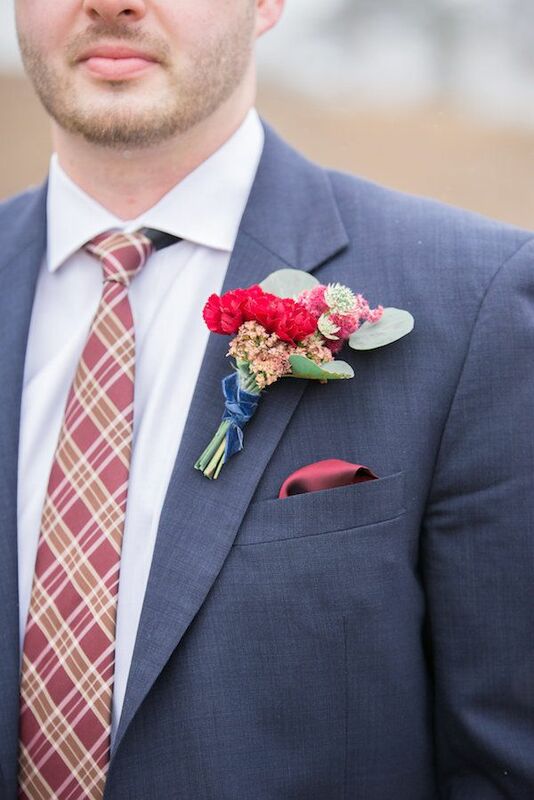 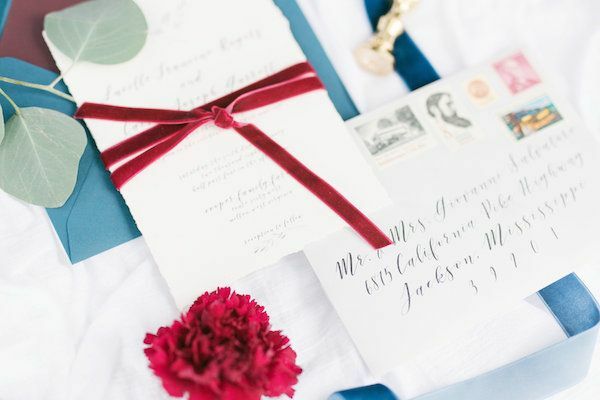 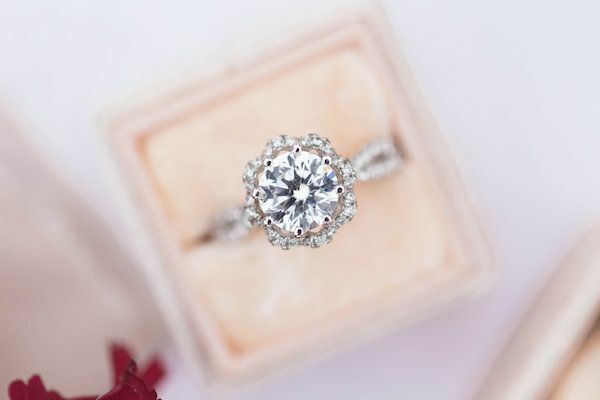 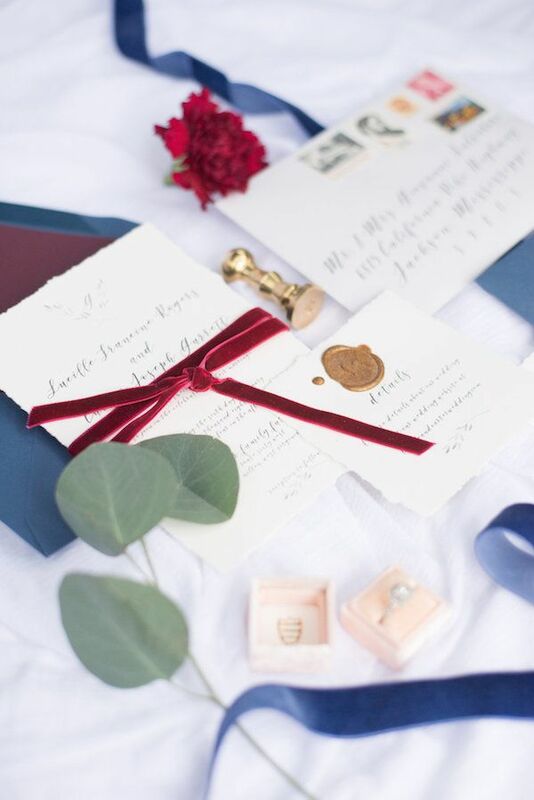 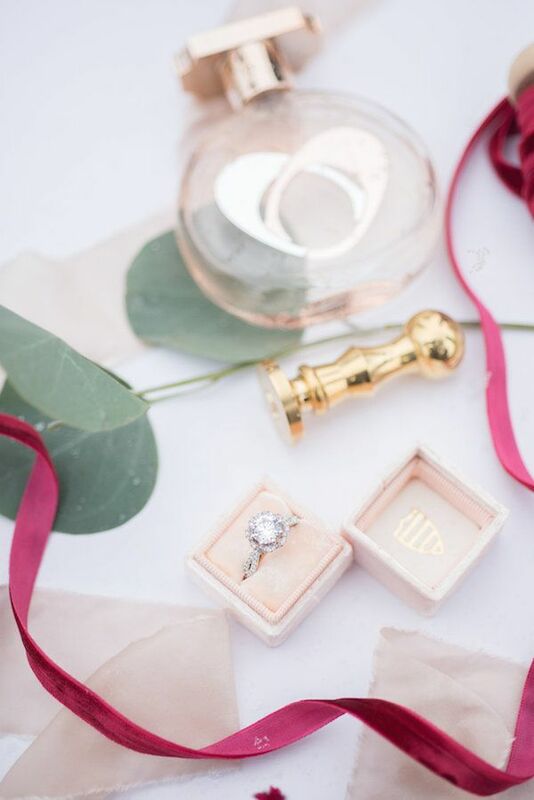 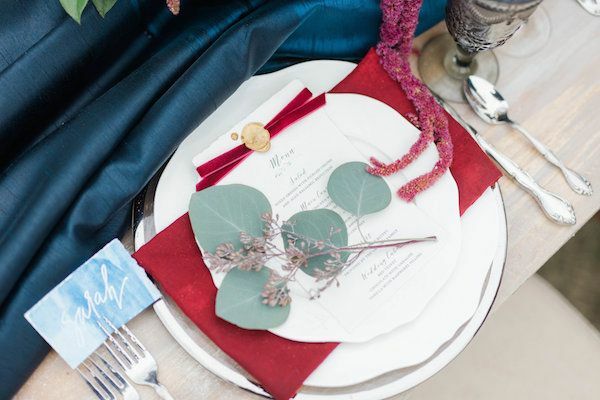 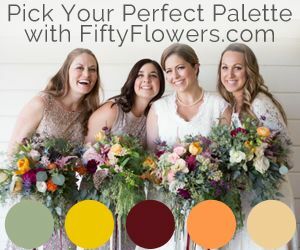 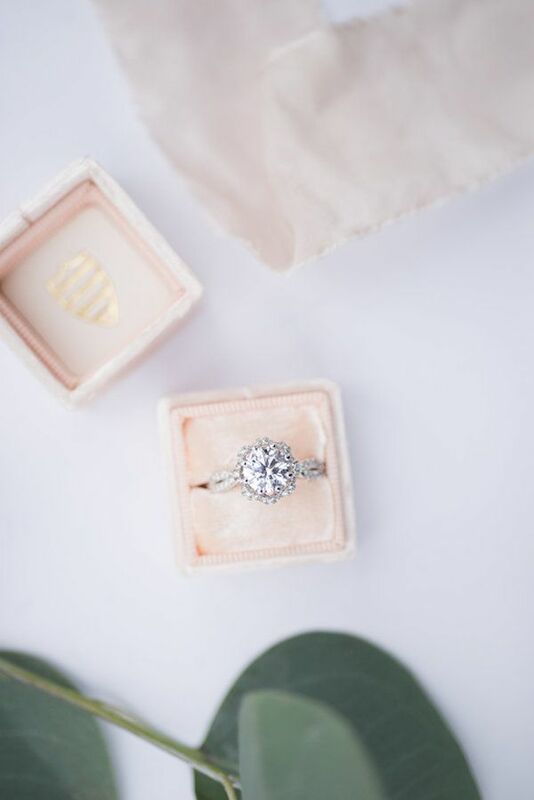 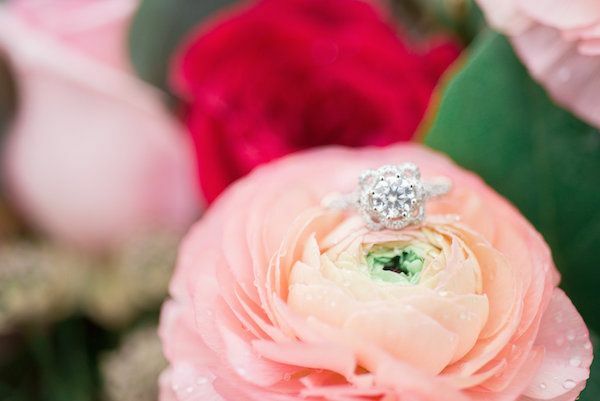 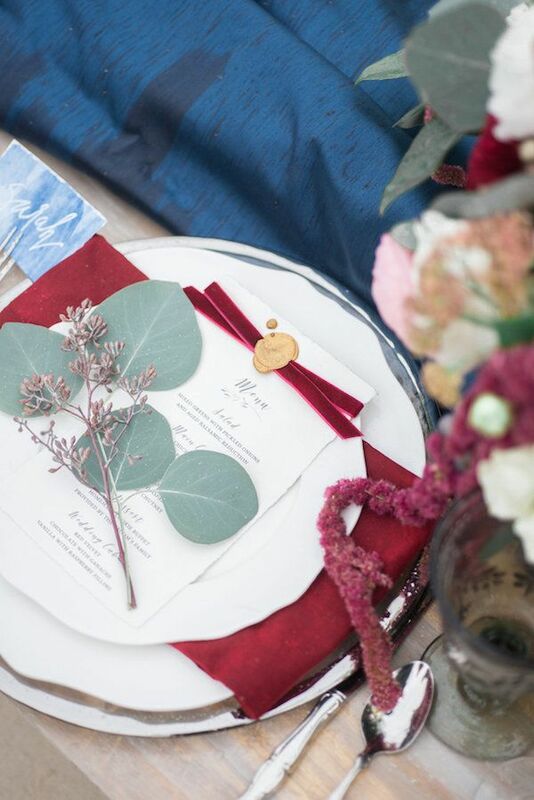 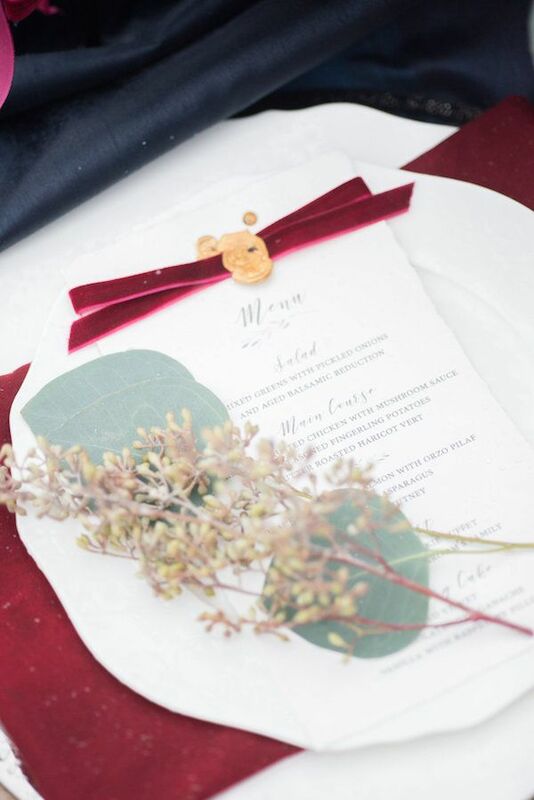 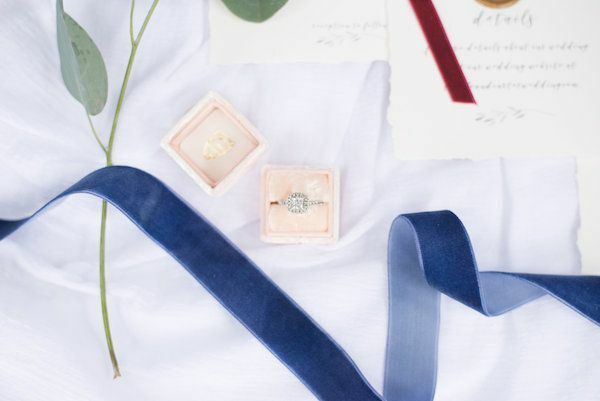 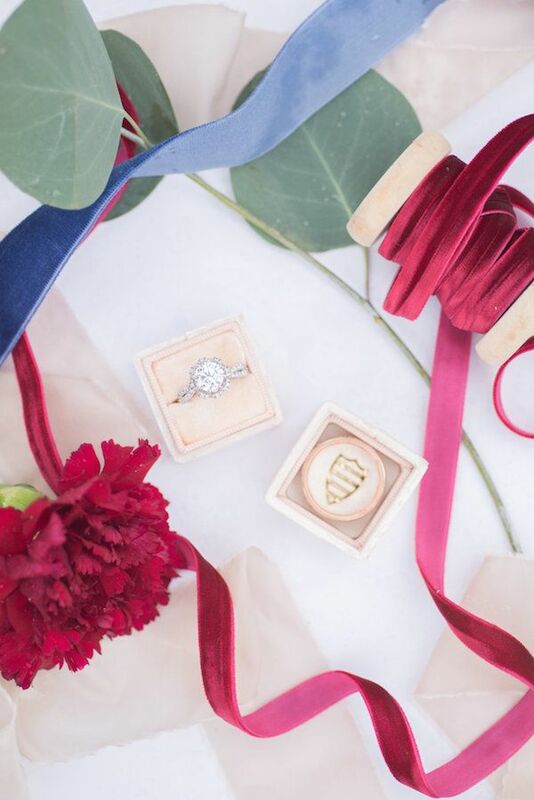 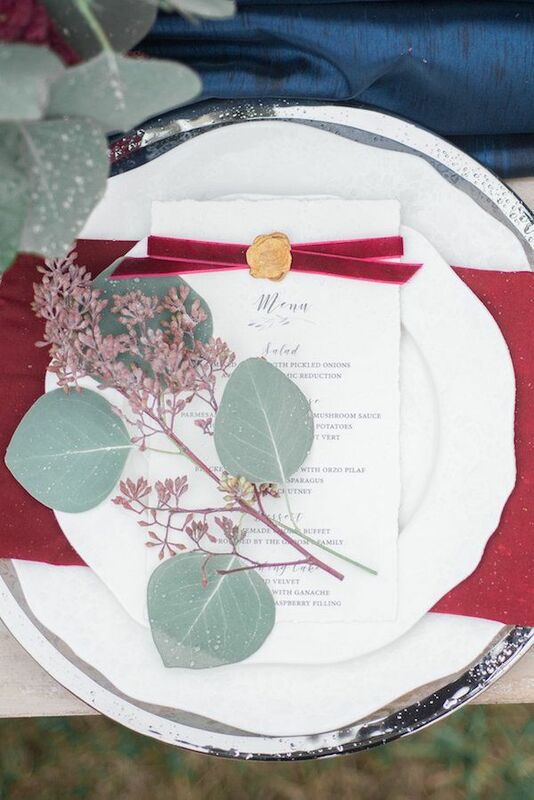 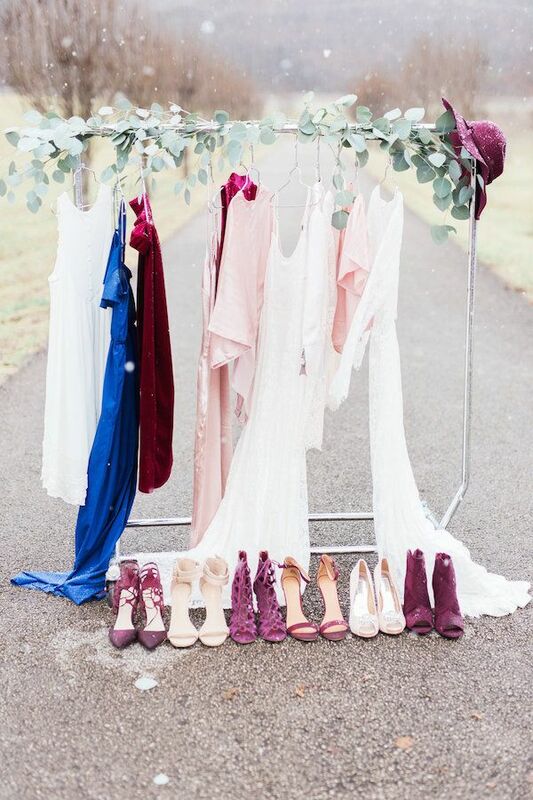 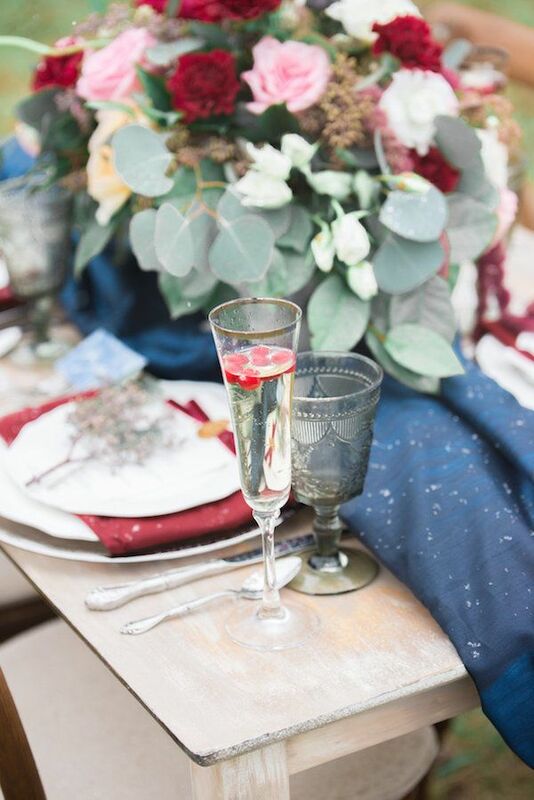 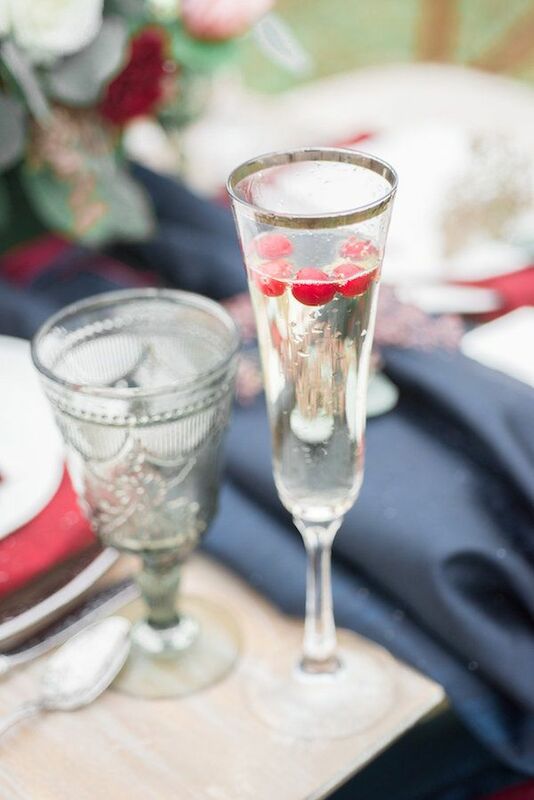 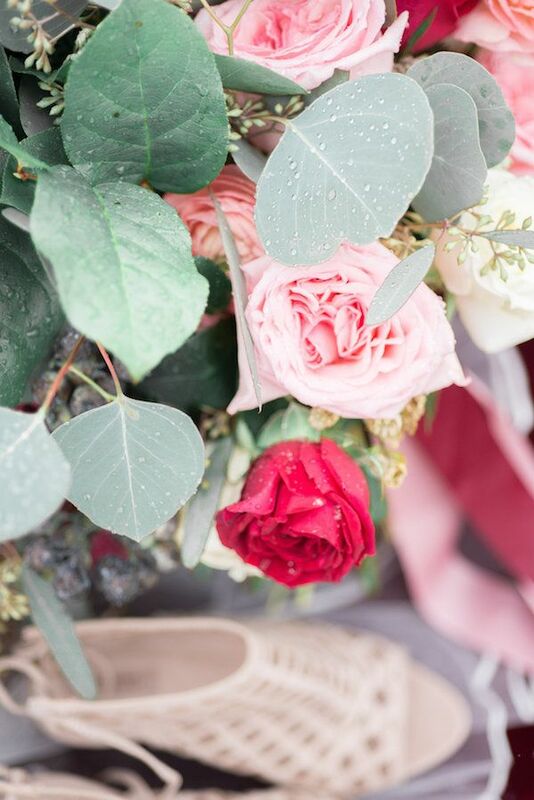 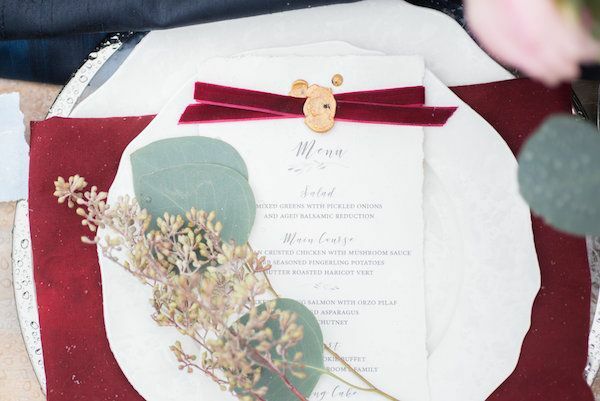 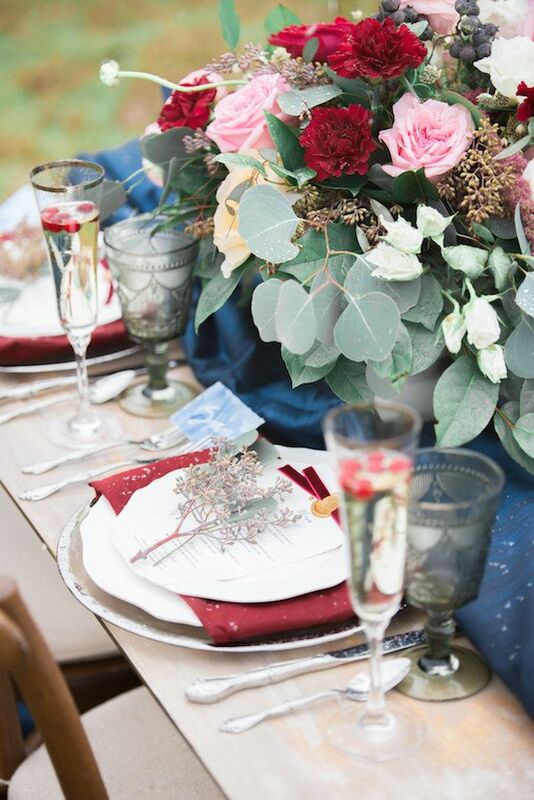 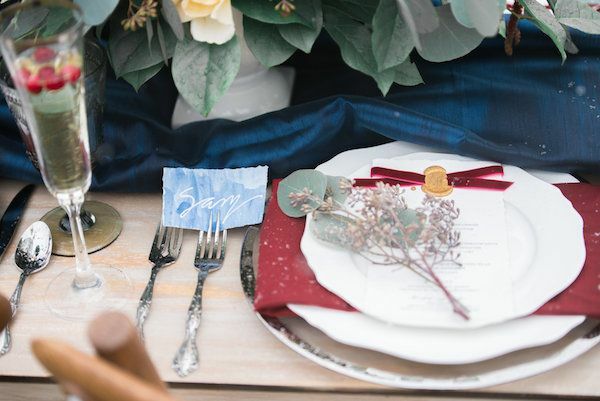 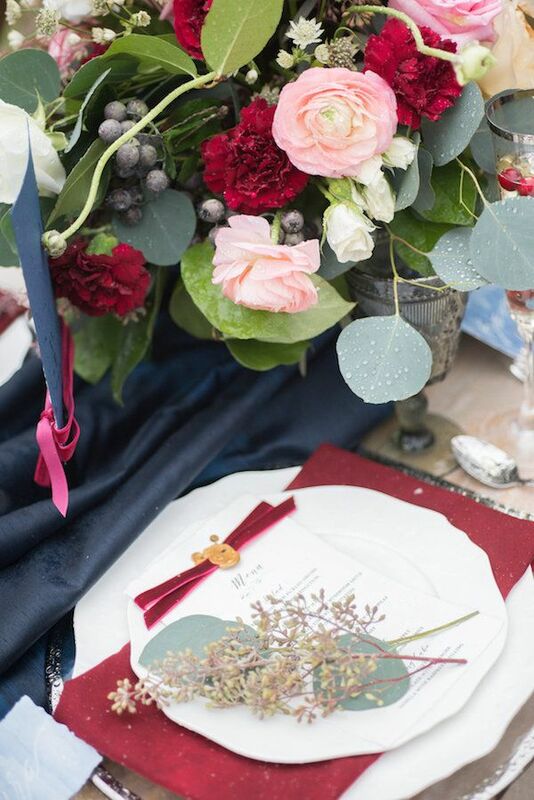 That is what is happening today on The Perfect Palette thanks to Simply Gorgeous Events by Lara-Jill and W Rentals + Events and lucky for us Rocha & Co Photography and Kara Blakeman Photography were there to capture it all. 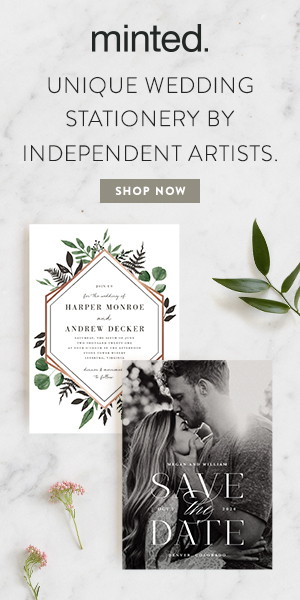 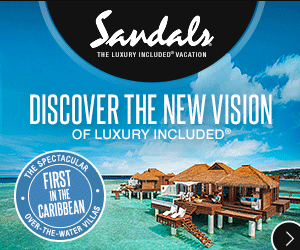 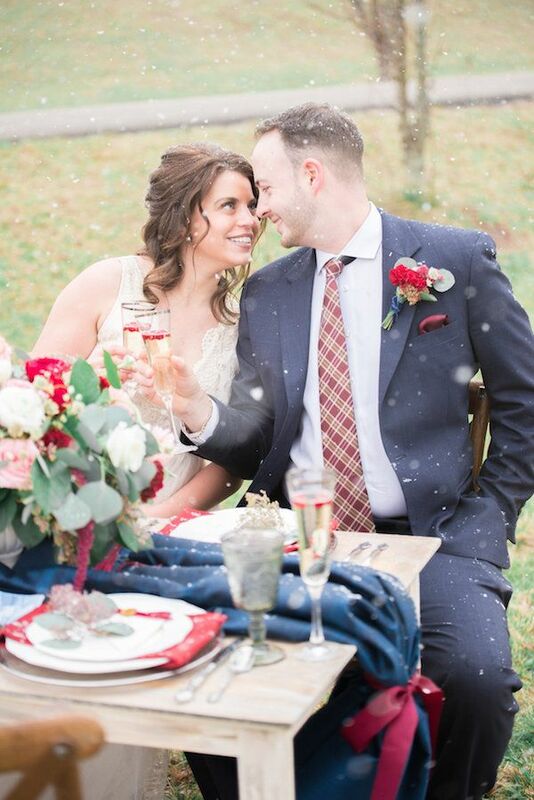 From the team, "We had a vision in mind for this romantic, winter shoot for a while before we brought it to life." 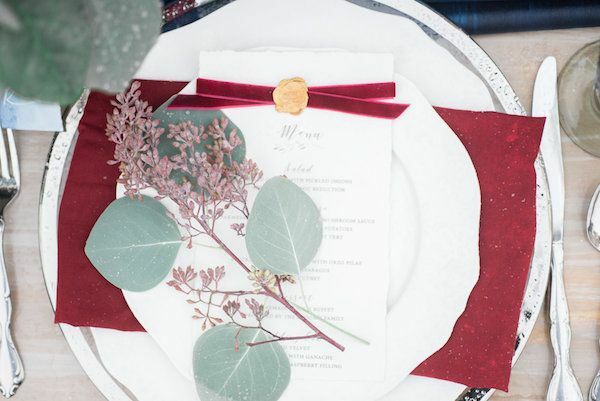 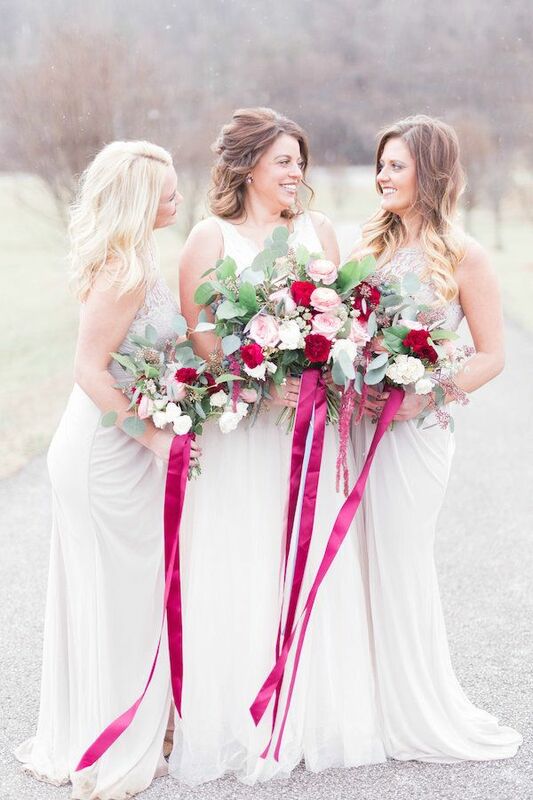 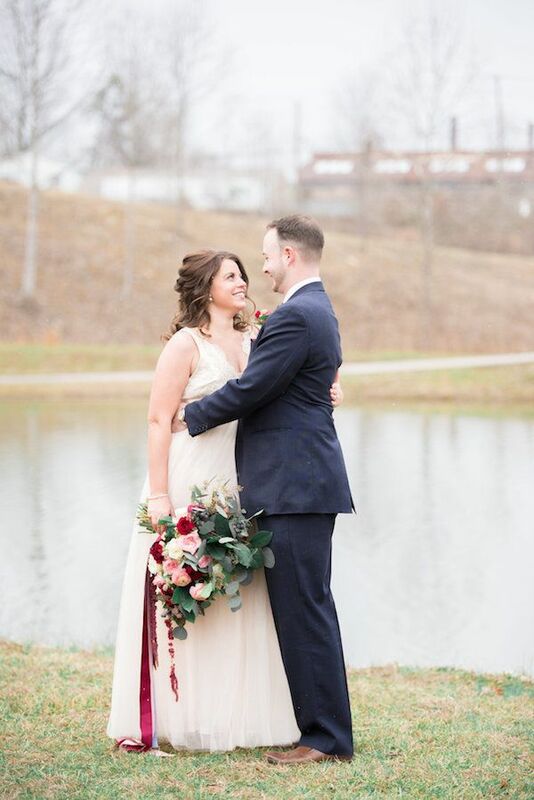 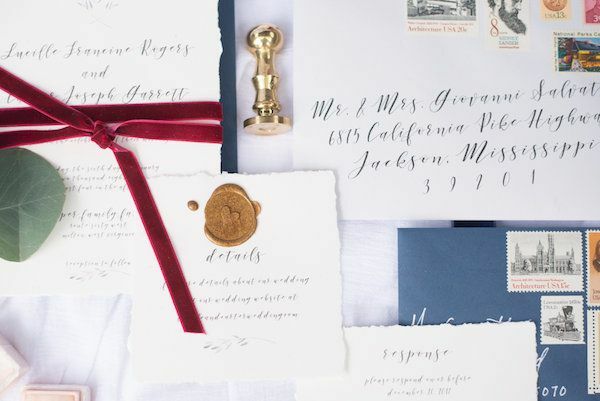 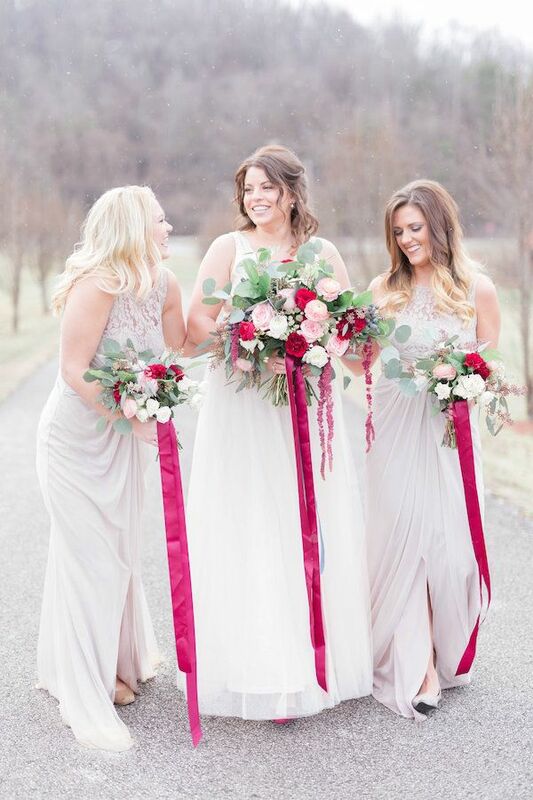 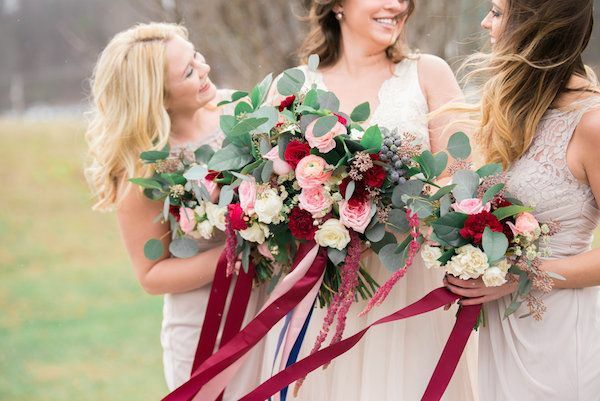 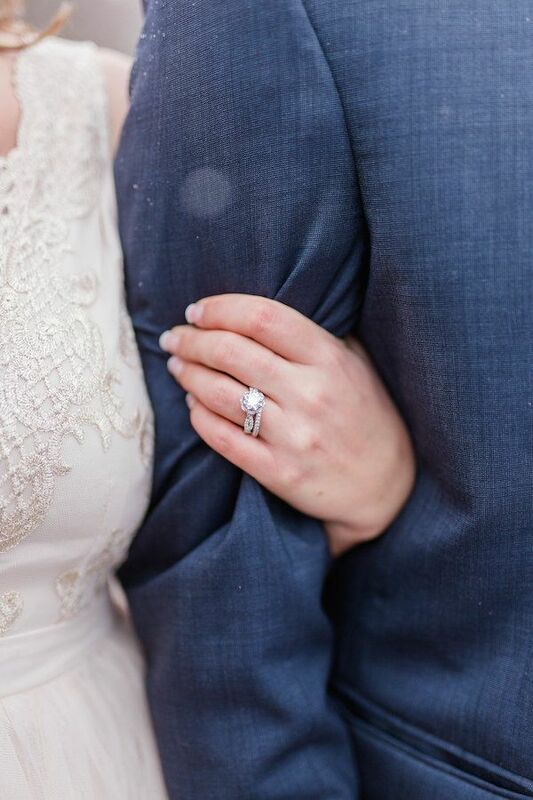 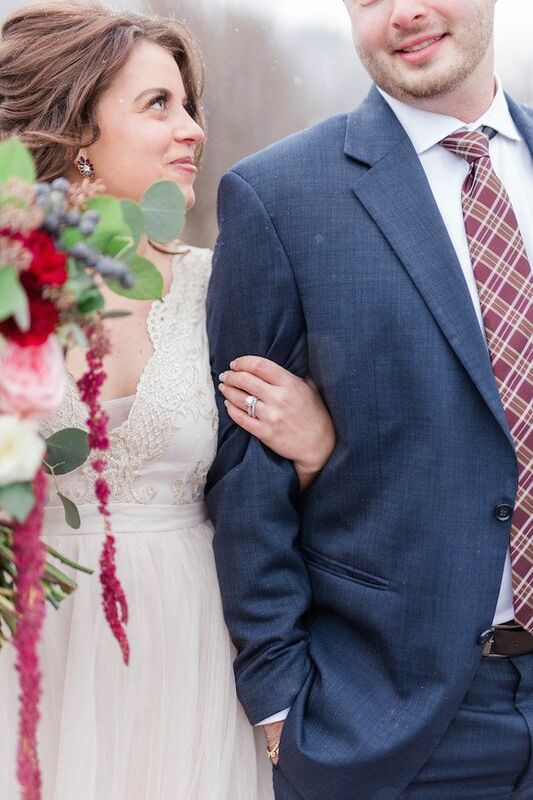 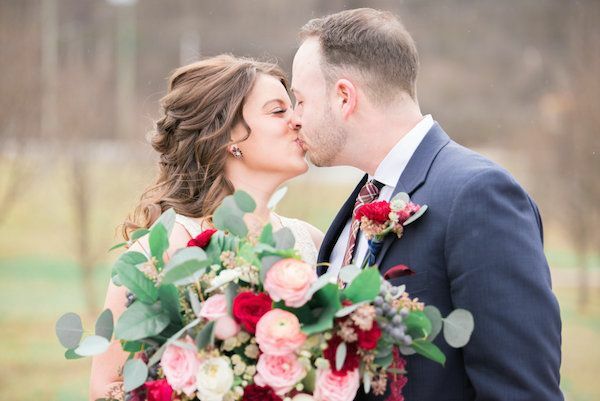 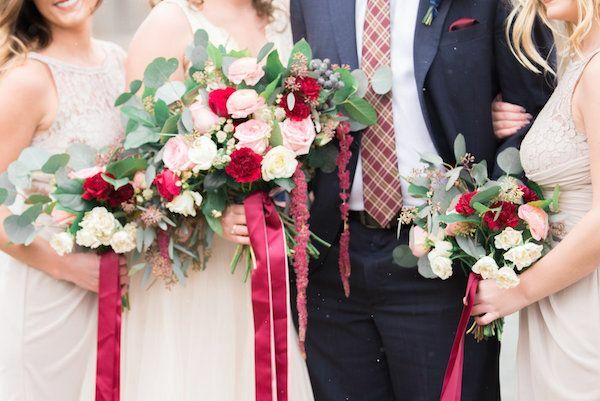 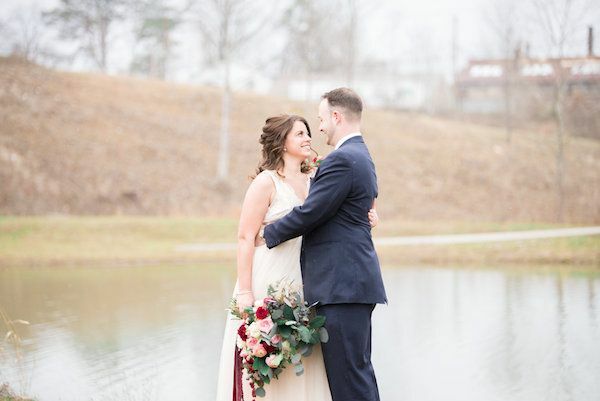 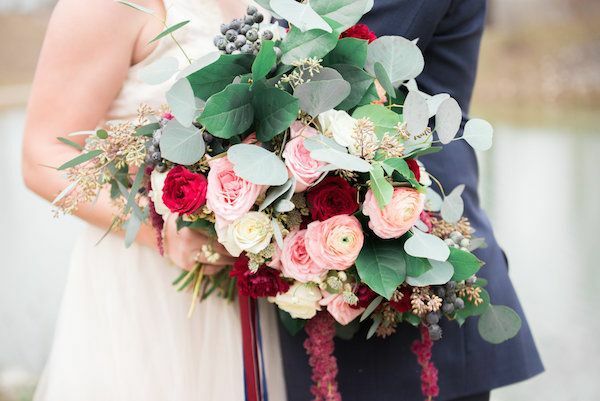 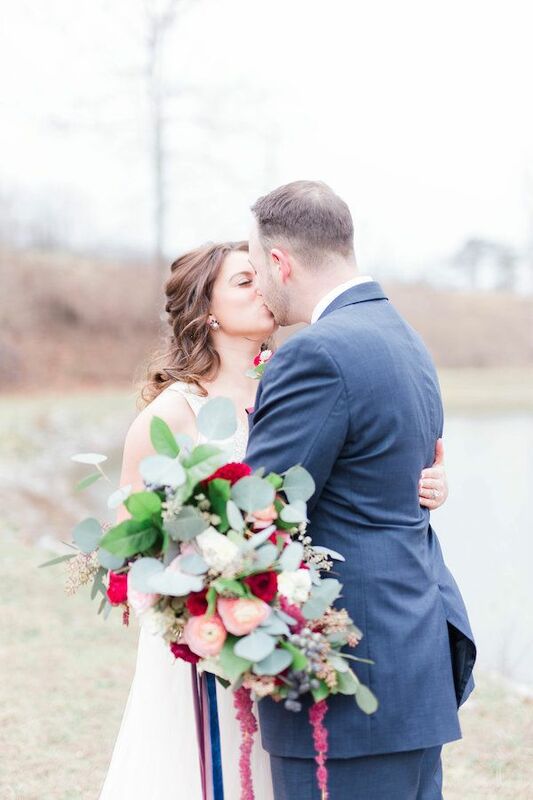 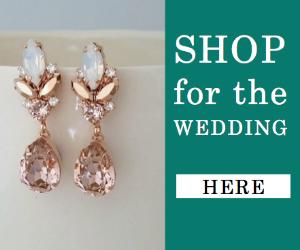 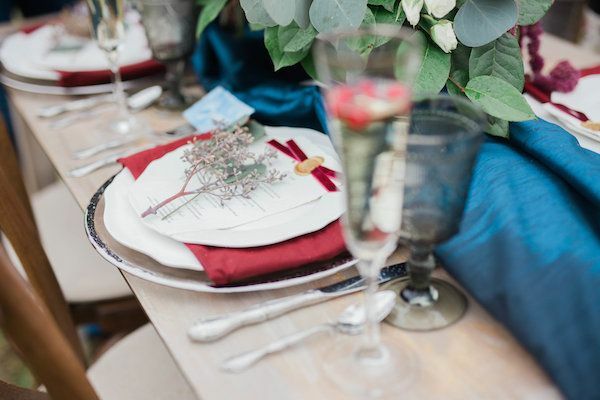 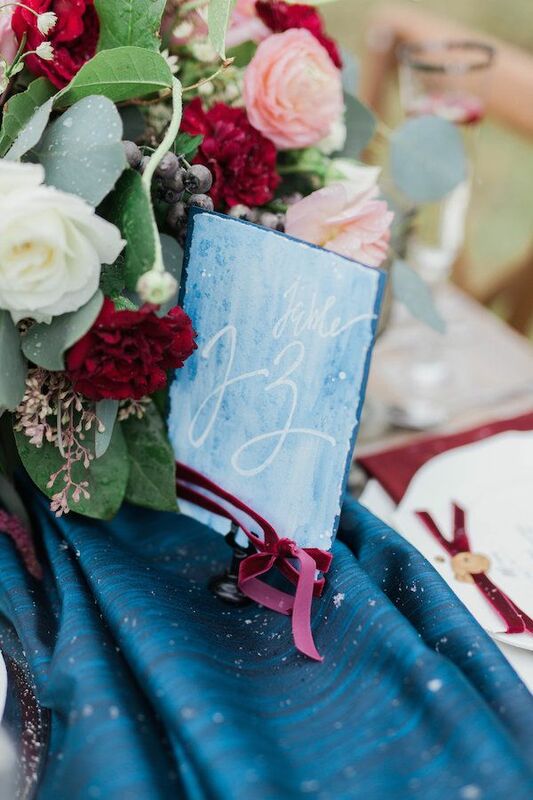 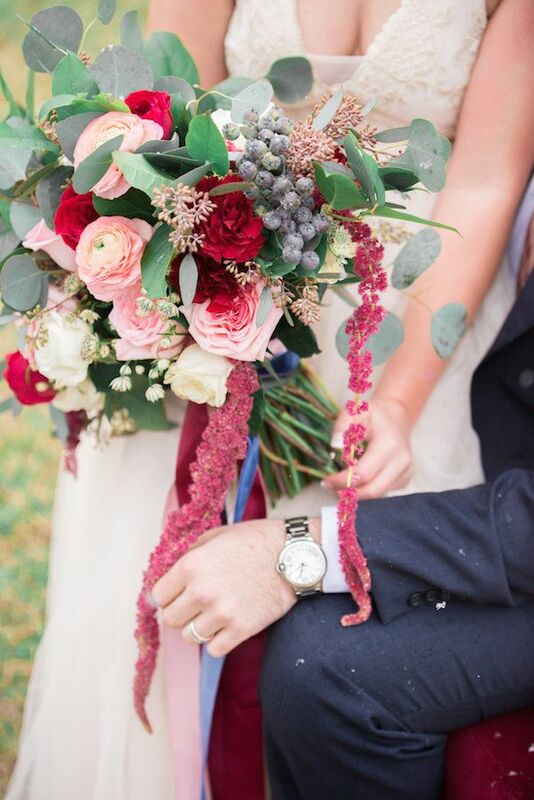 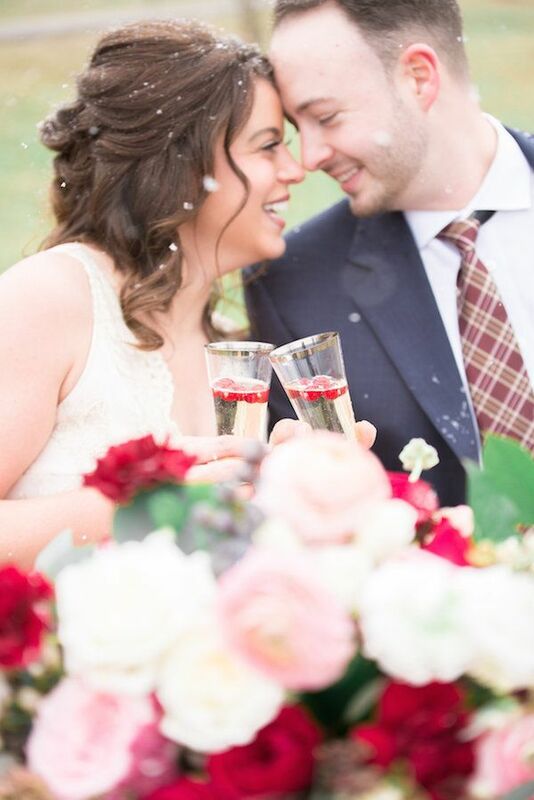 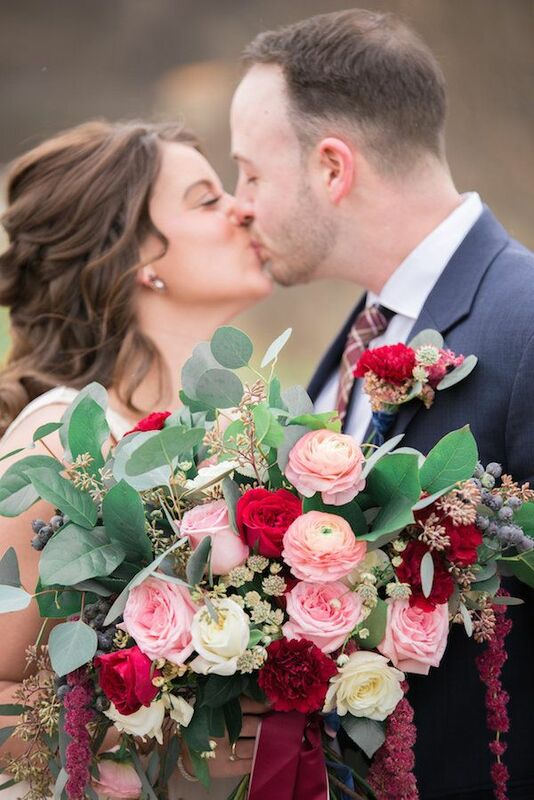 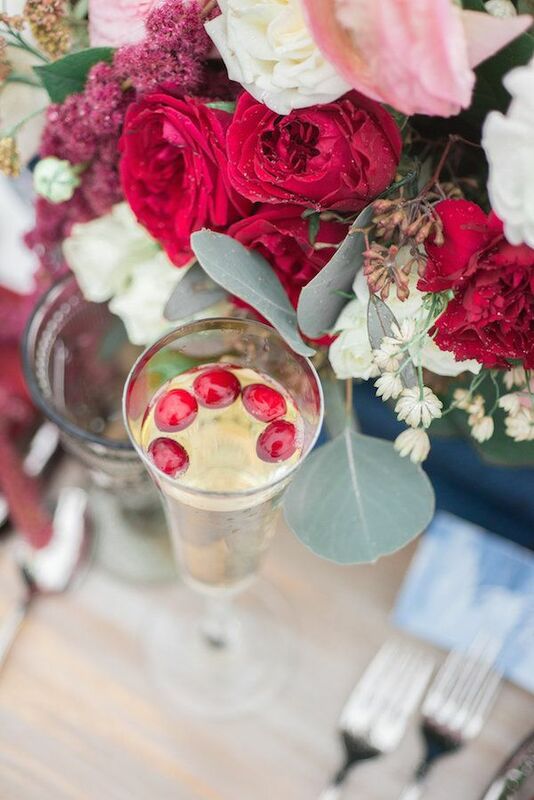 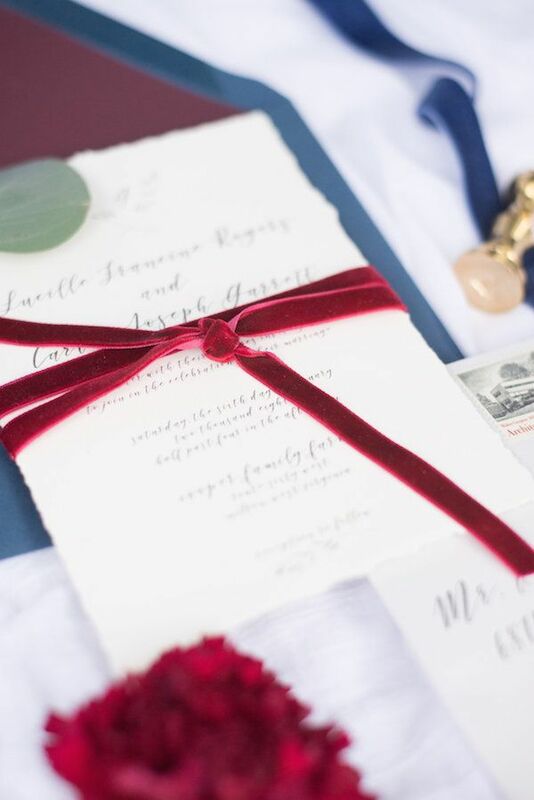 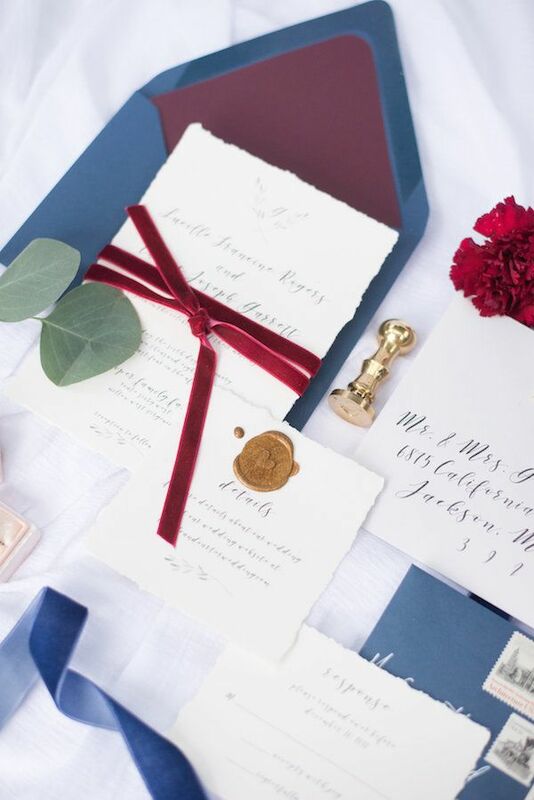 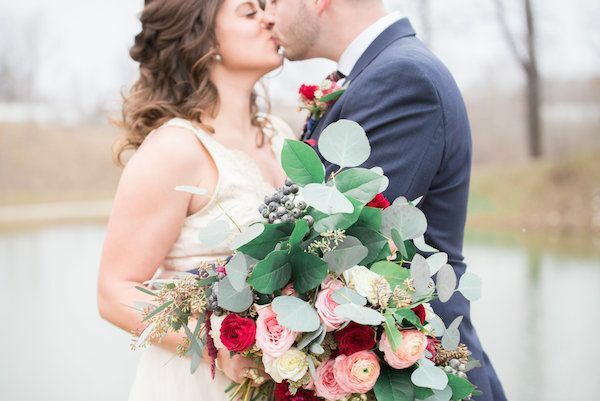 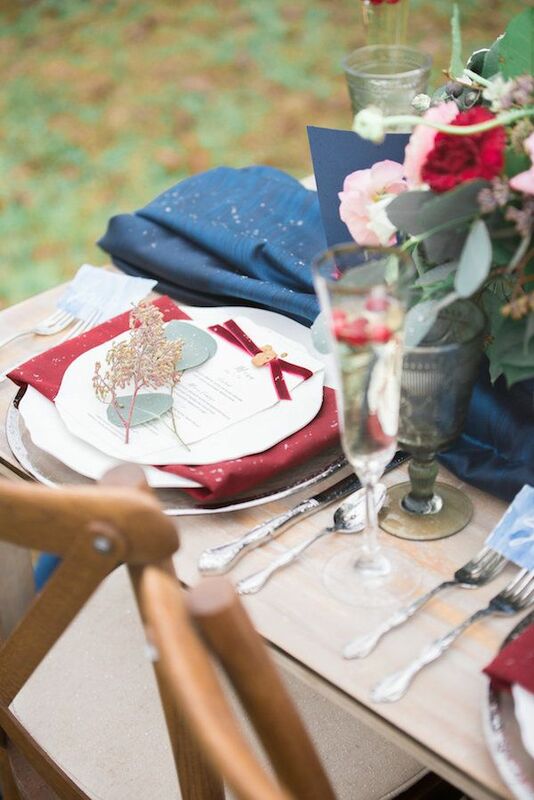 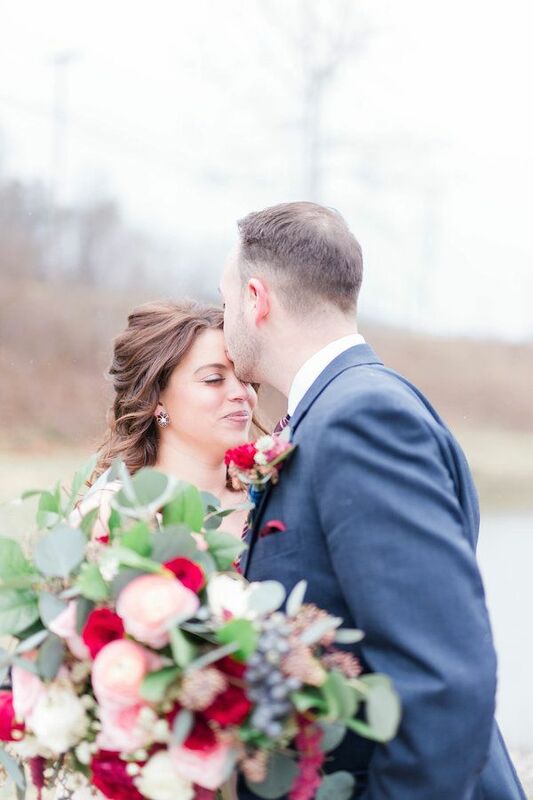 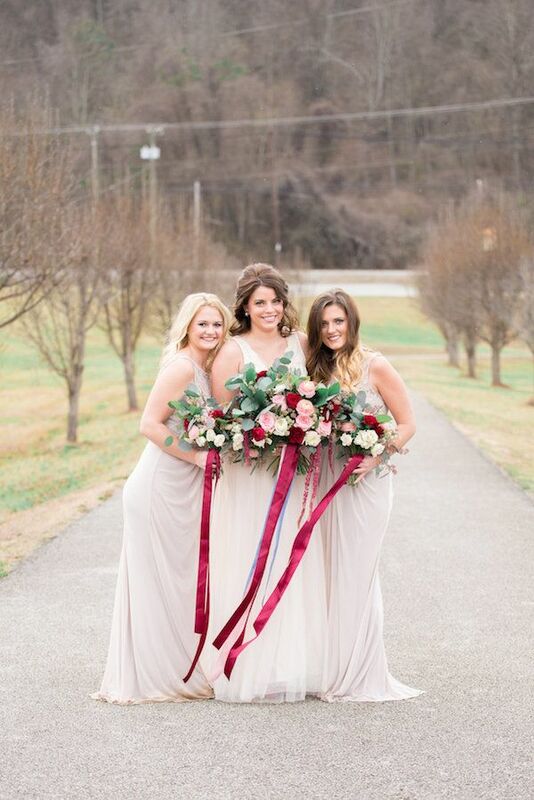 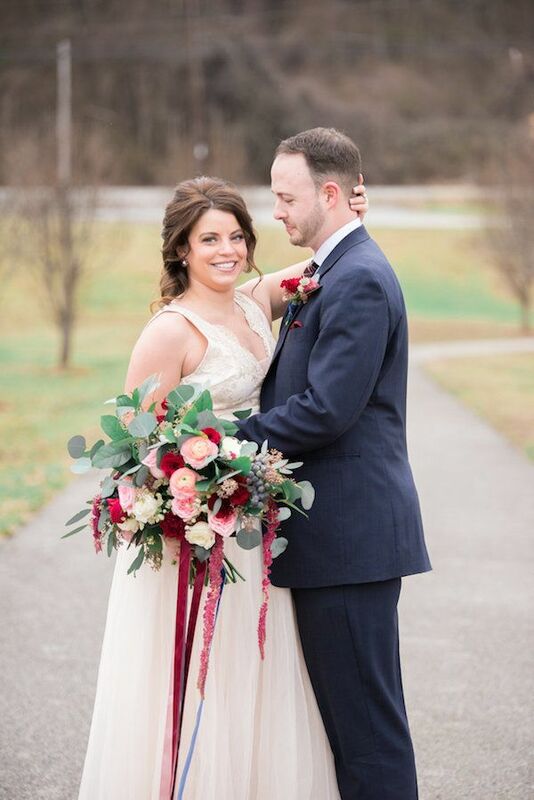 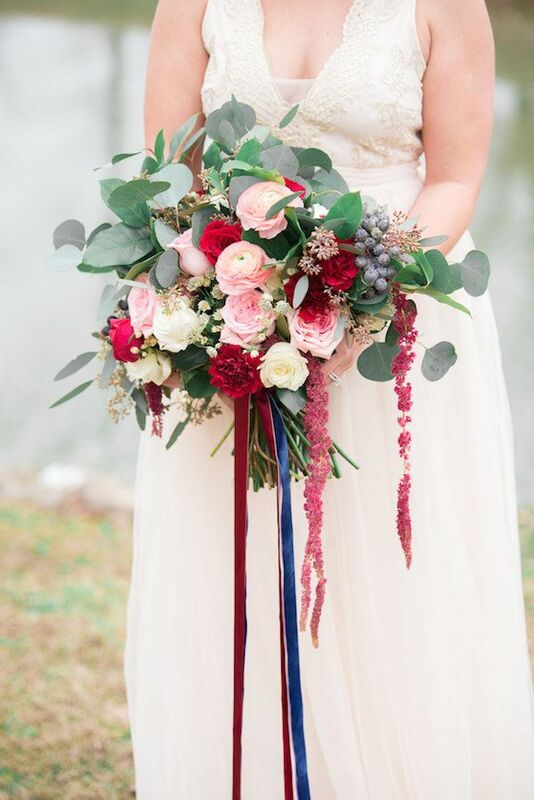 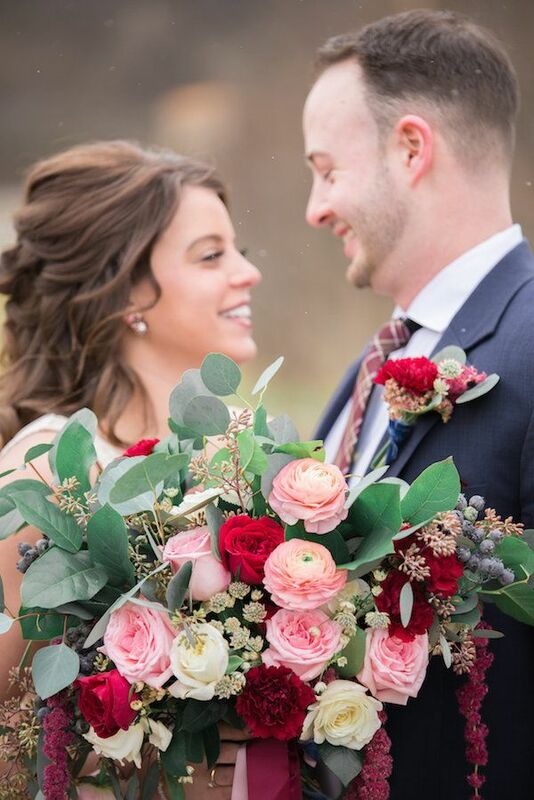 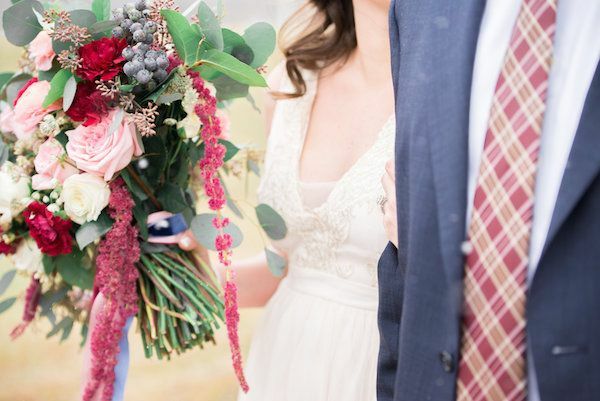 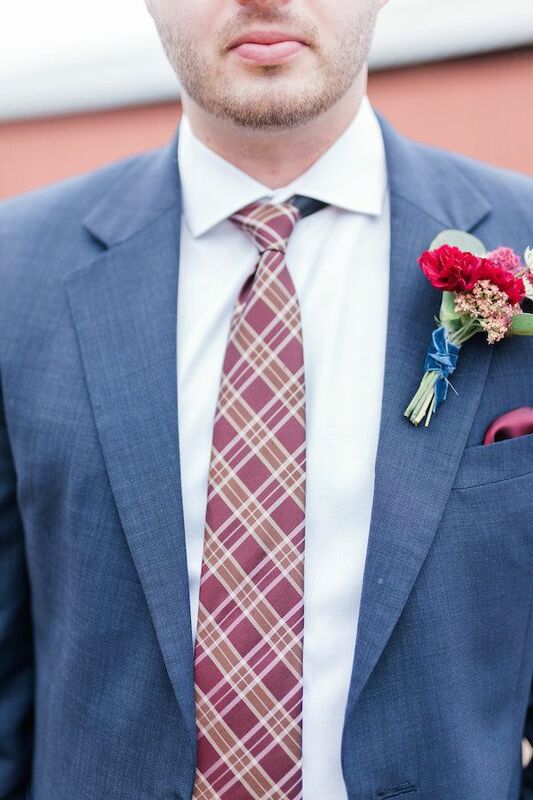 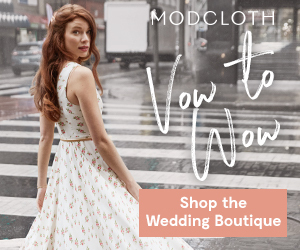 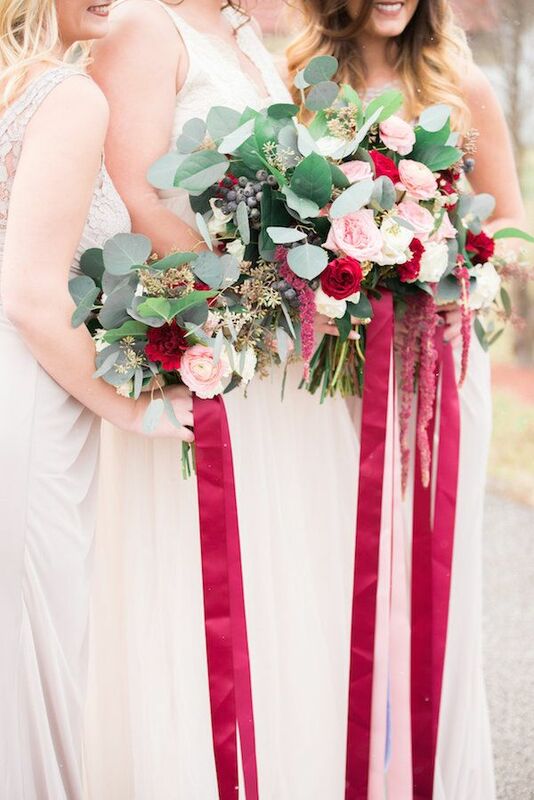 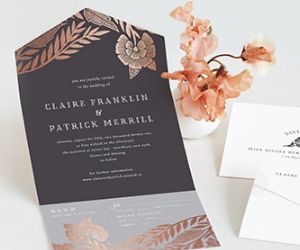 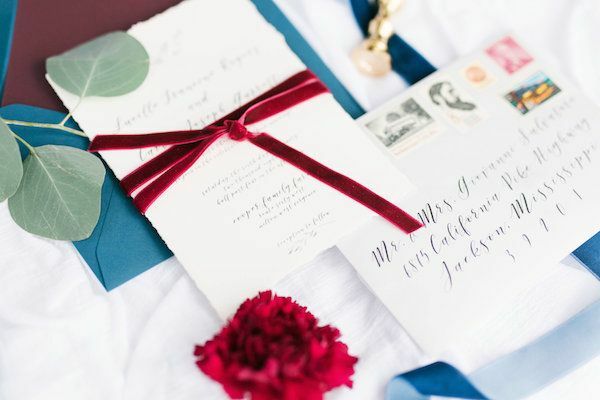 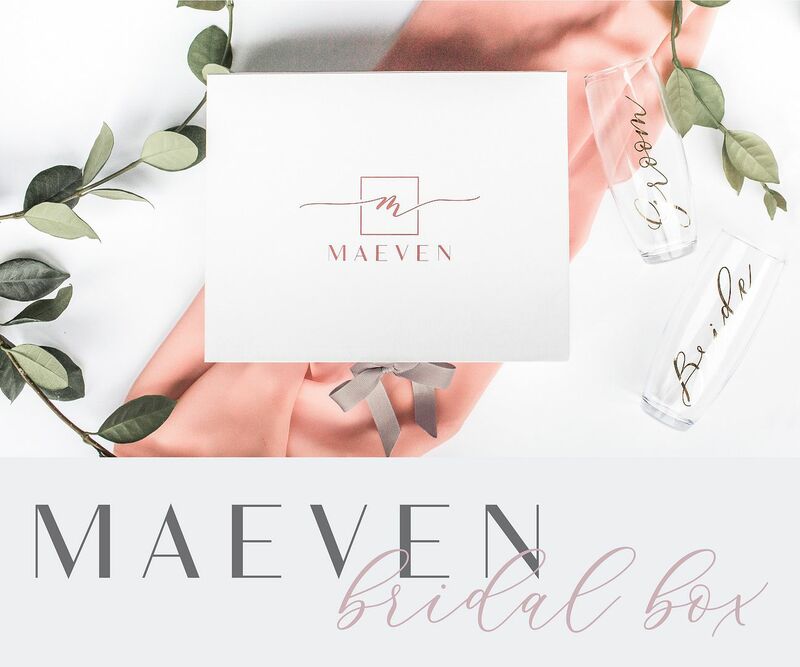 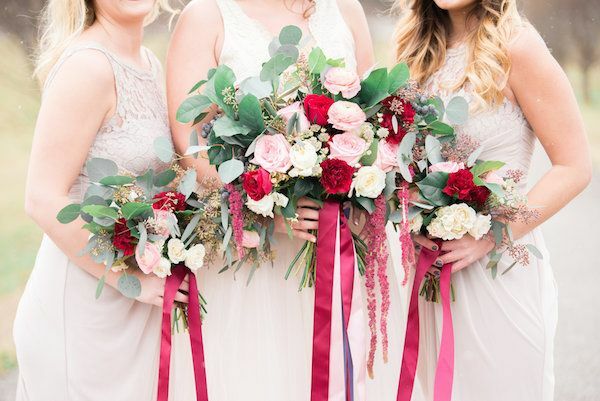 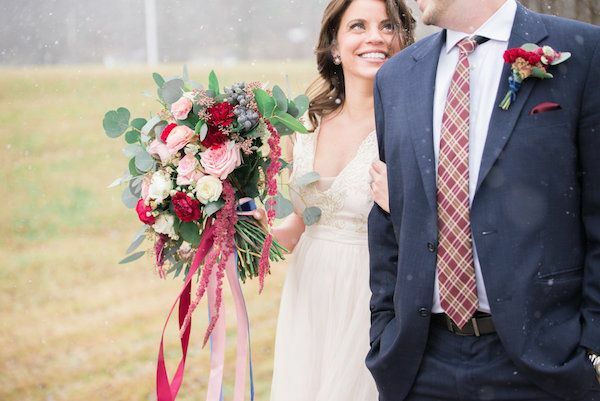 "We knew with it being winter, we wanted to incorporate a lot of bold, dramatic colors including burgundy, navy..."
"...but we also wanted to keep it feeling light and airy, so we incorporated a touch of blush and champagne." 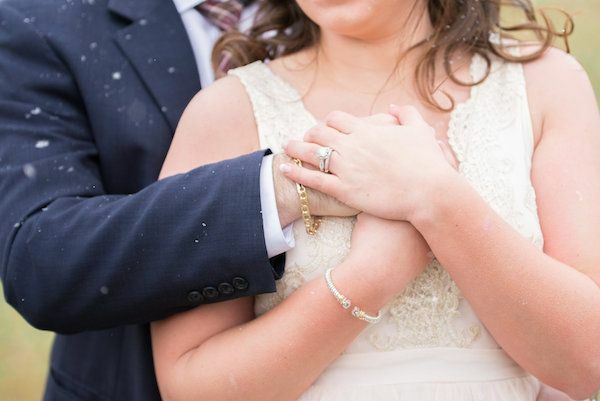 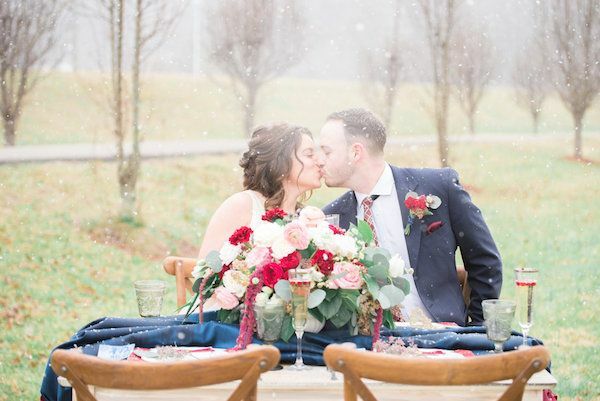 "Even though it was freezing out, we got our snow and the snowflakes added to the feel we were trying to achieve." 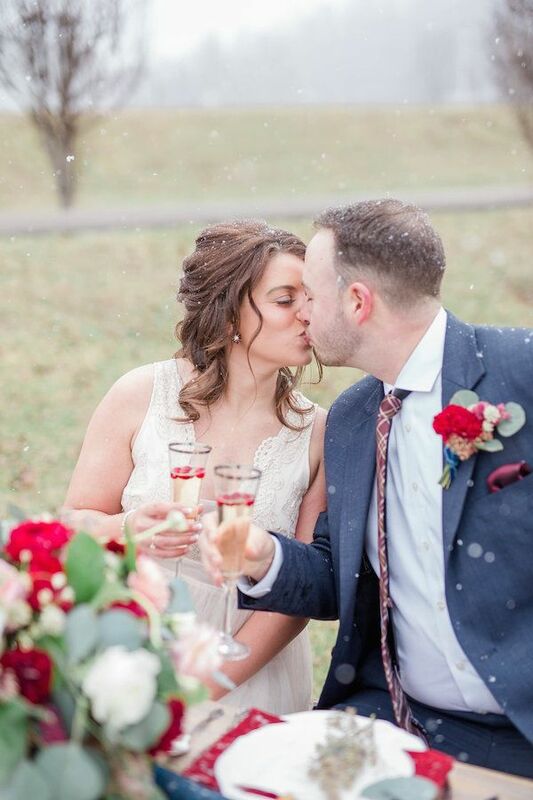 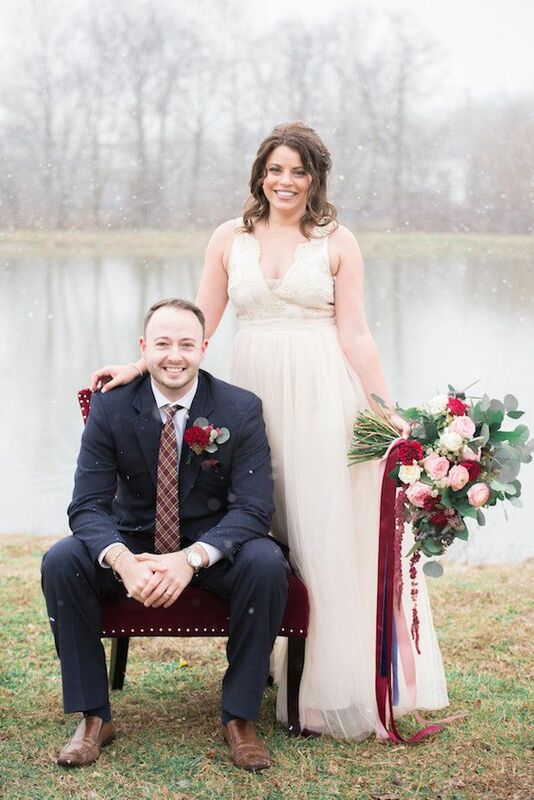 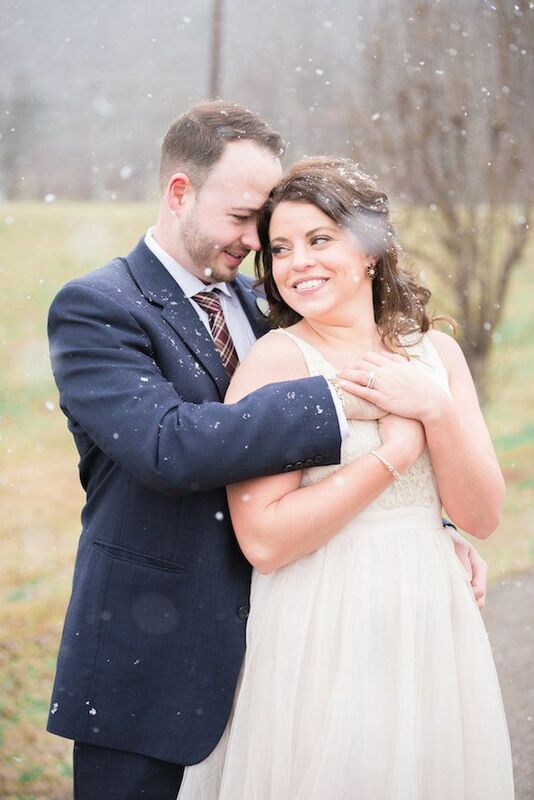 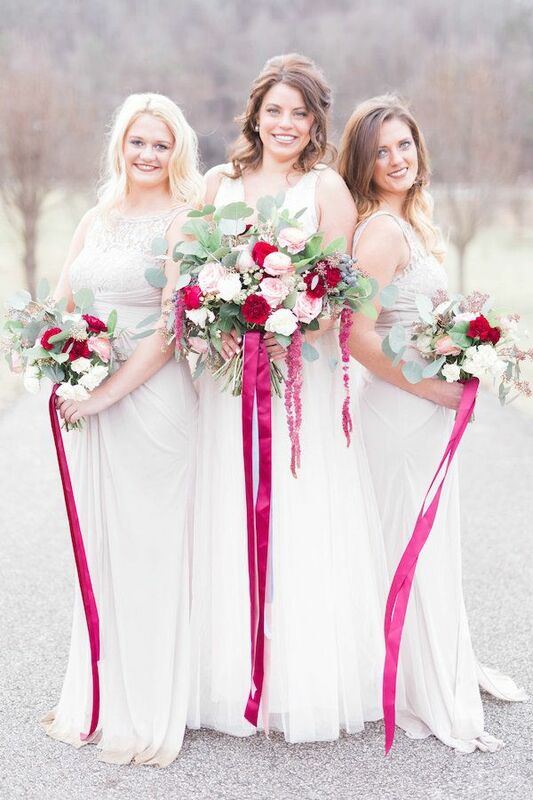 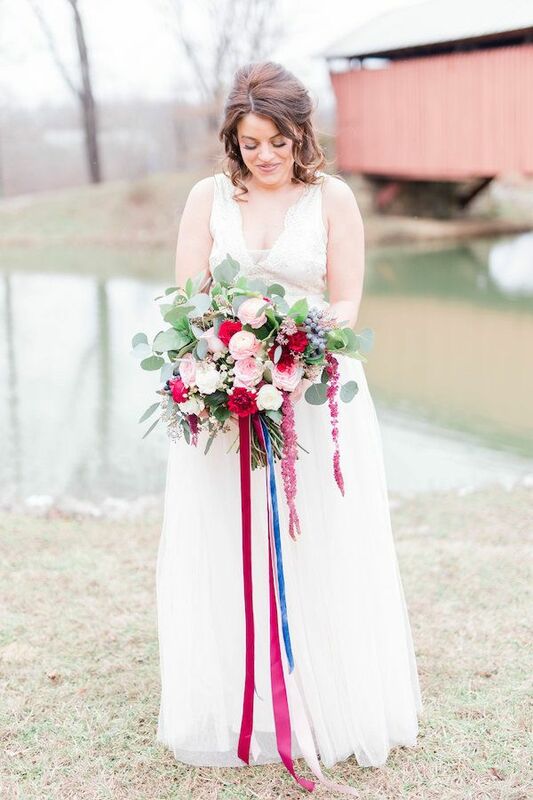 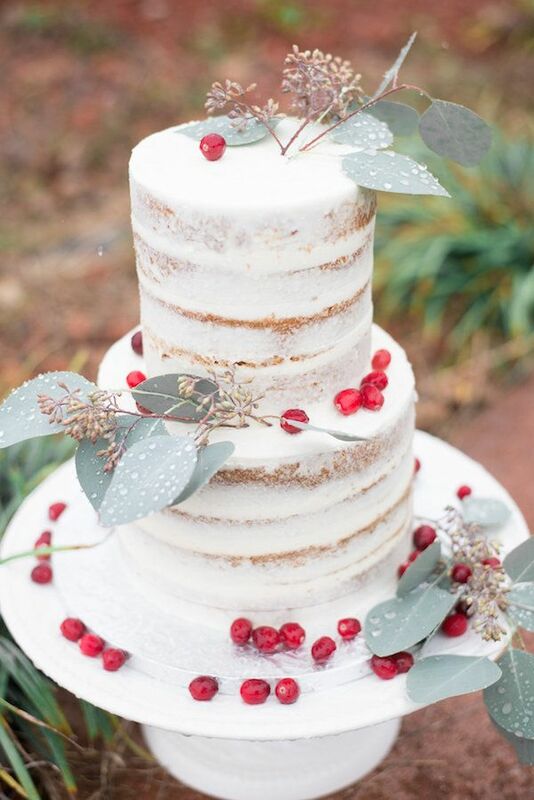 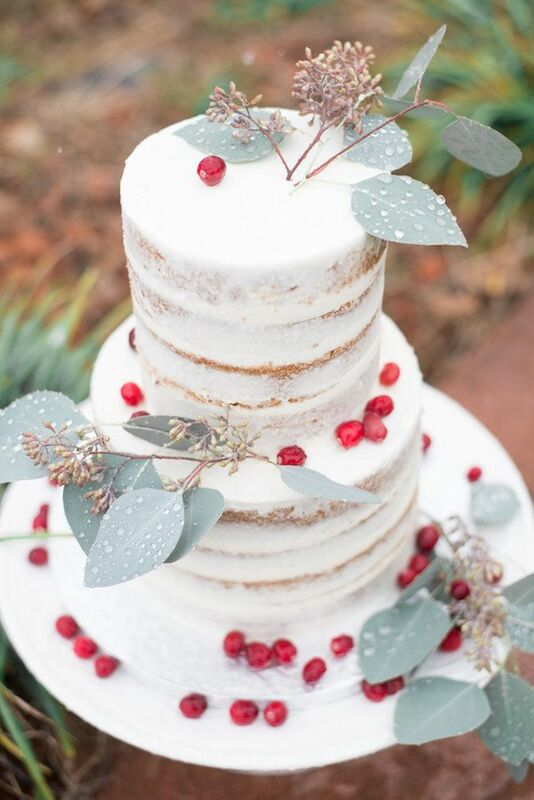 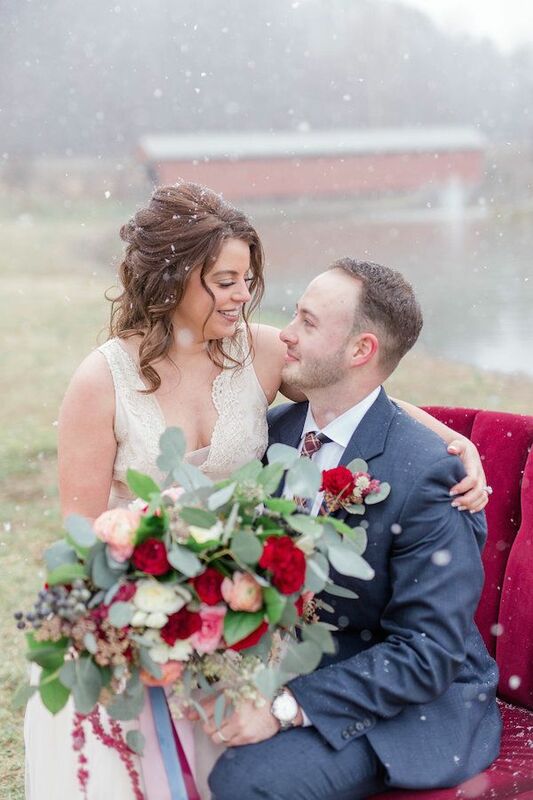 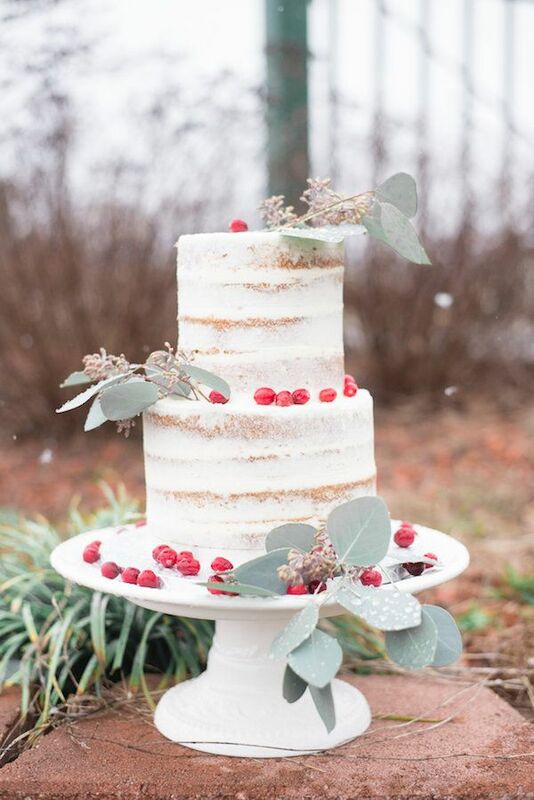 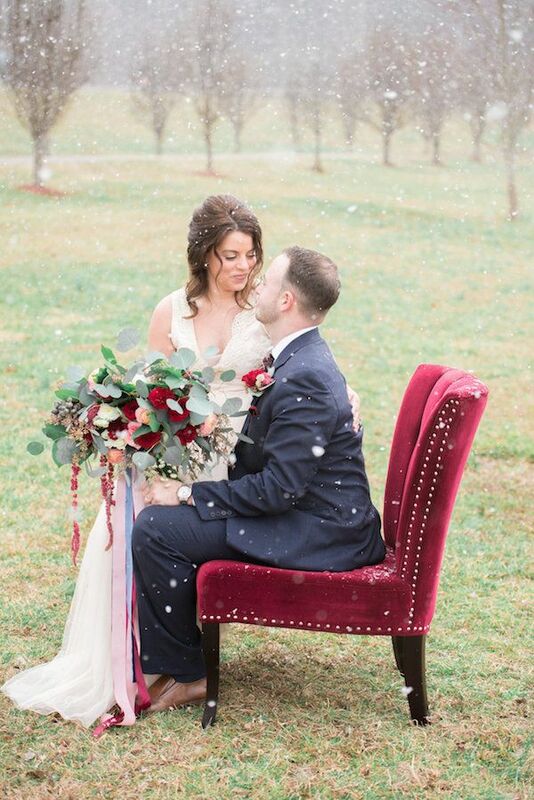 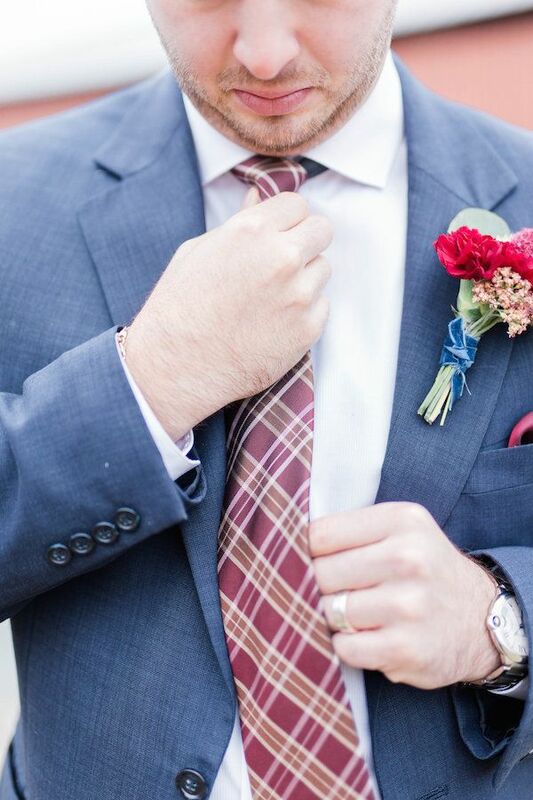 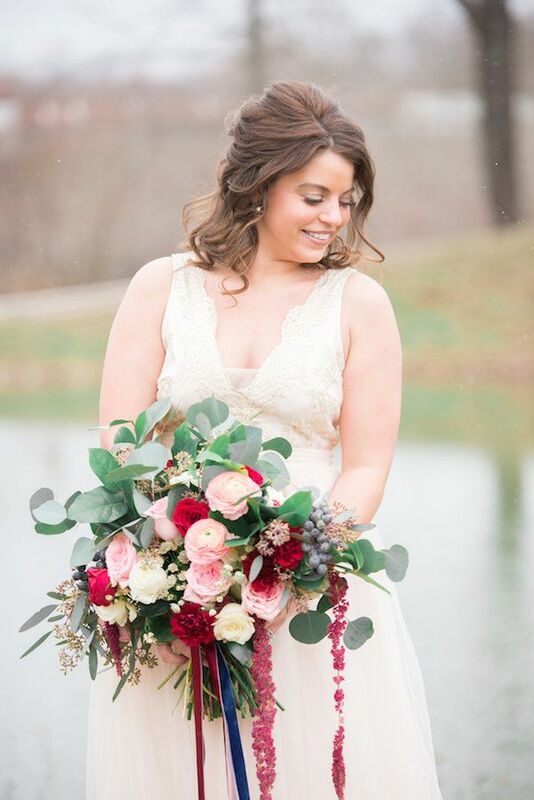 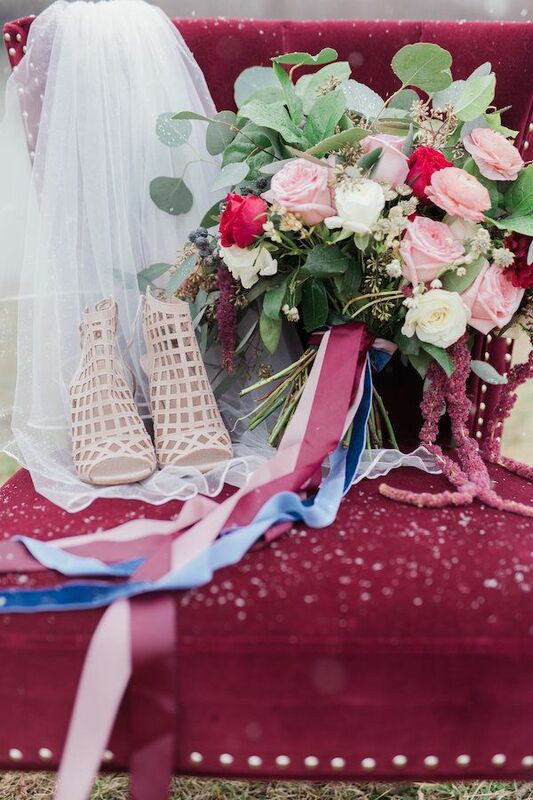 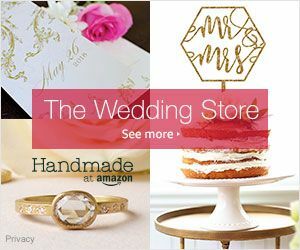 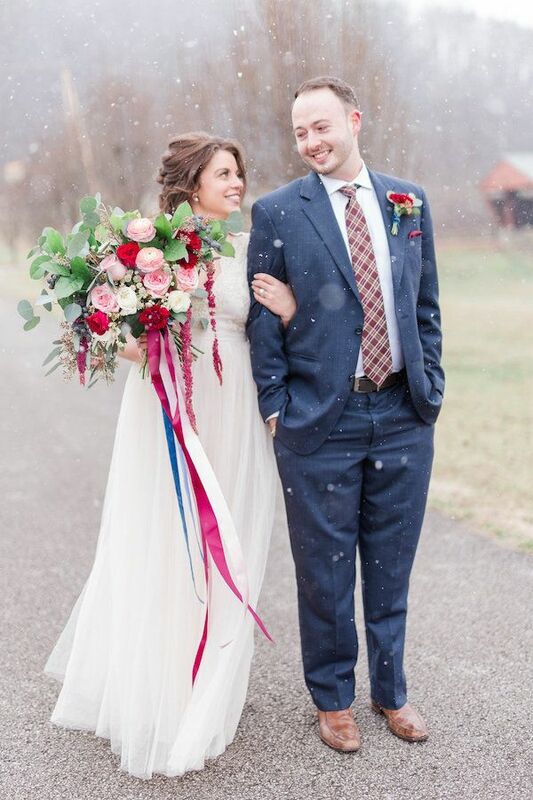 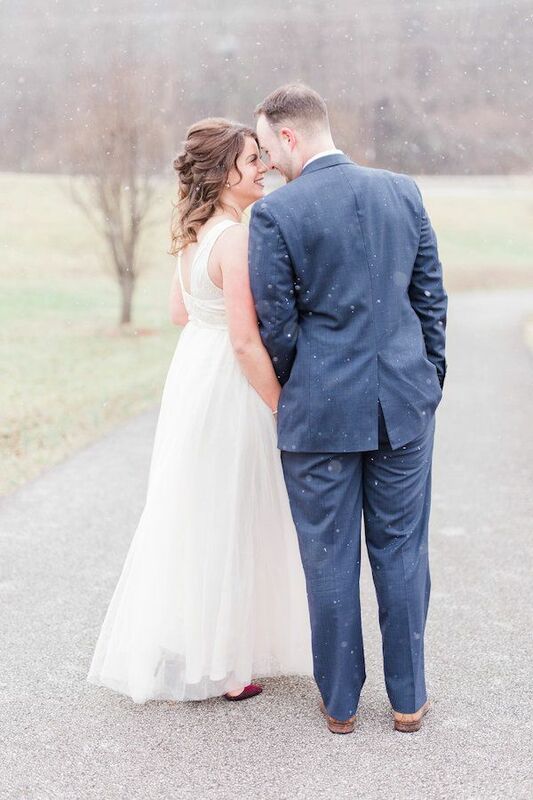 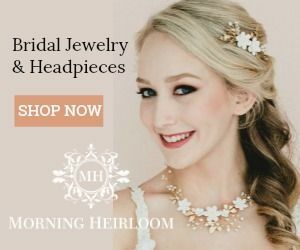 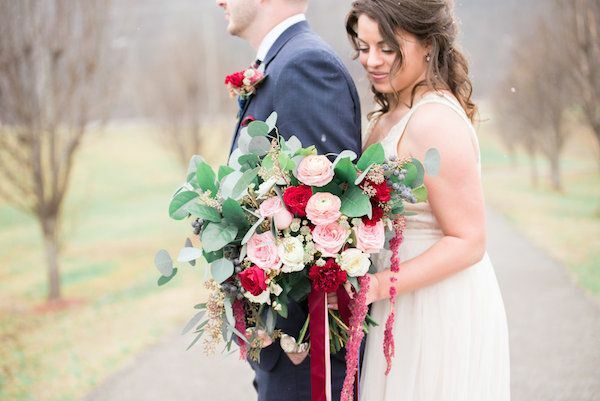 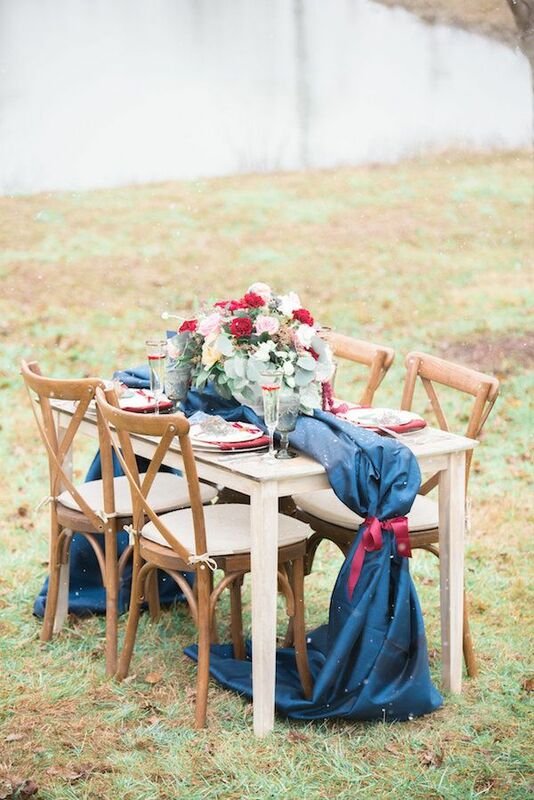 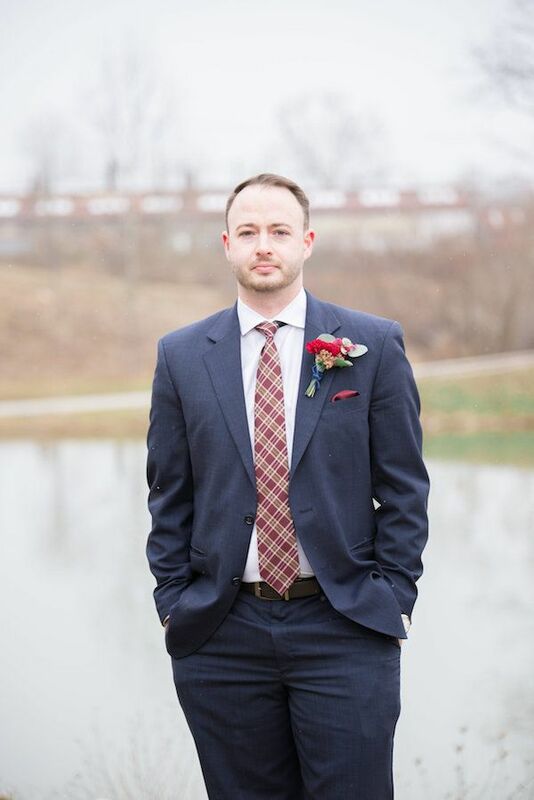 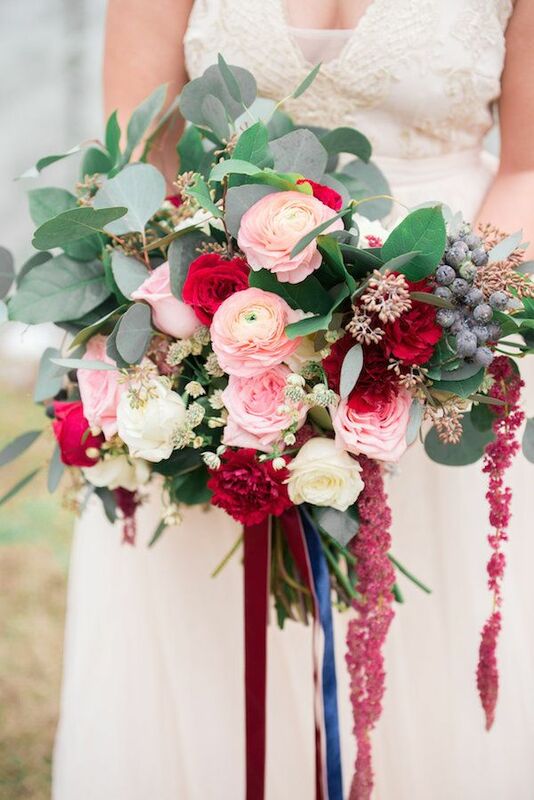 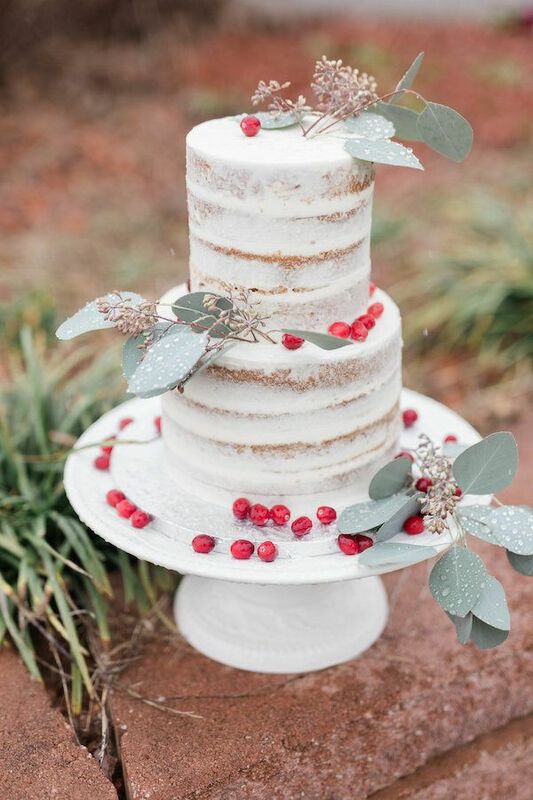 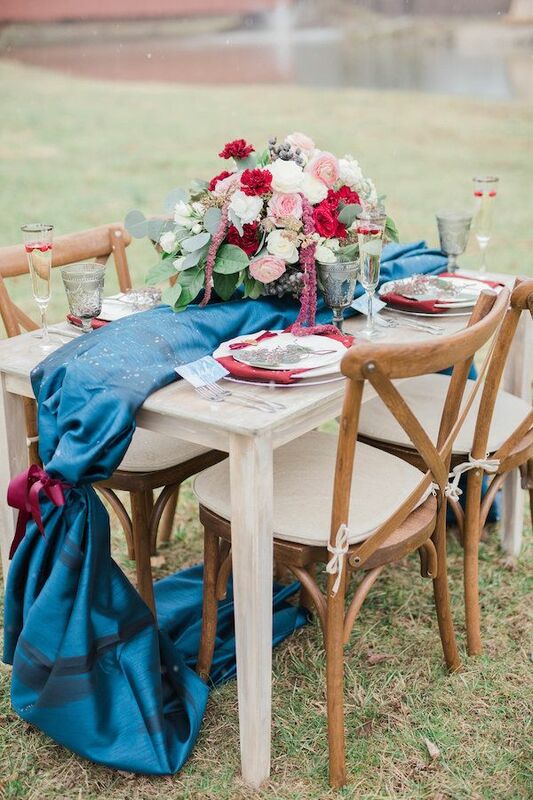 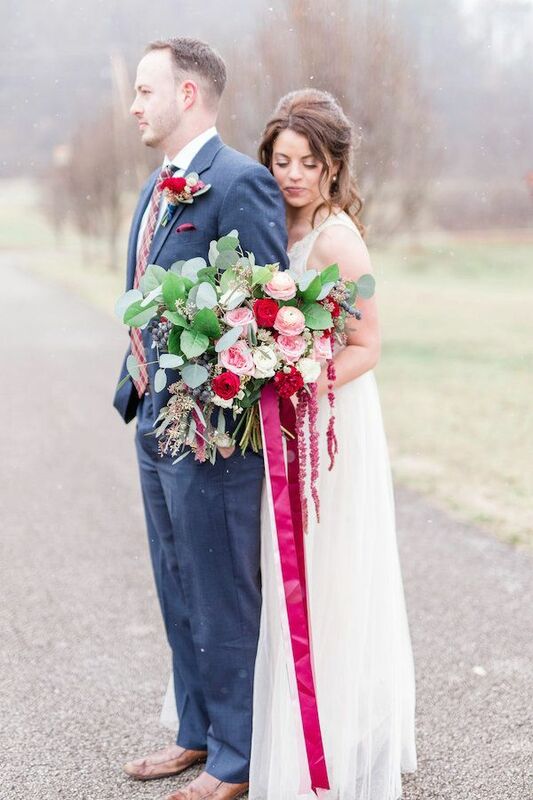 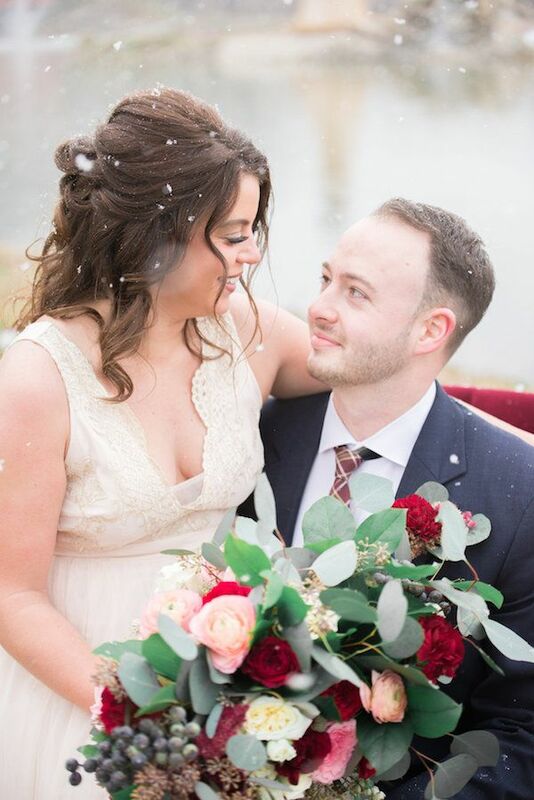 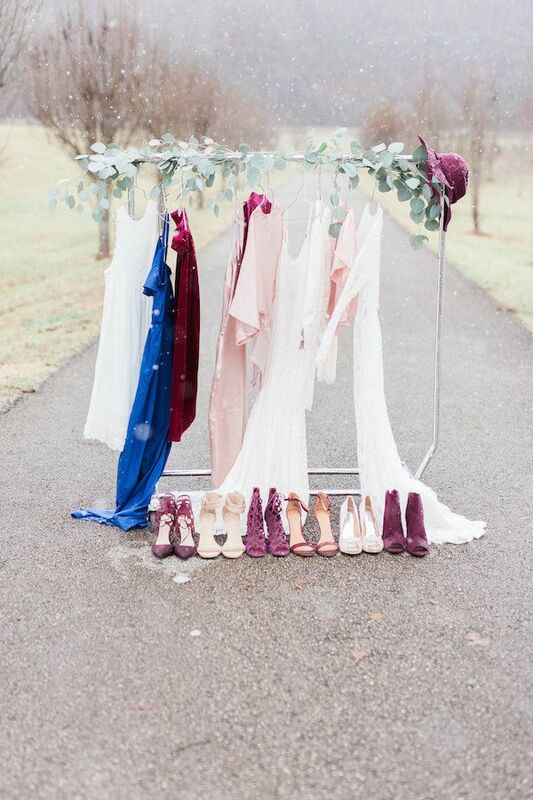 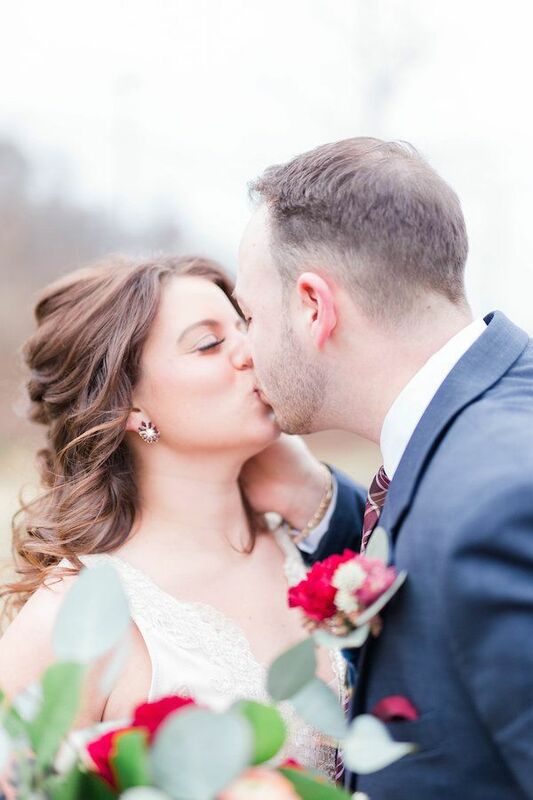 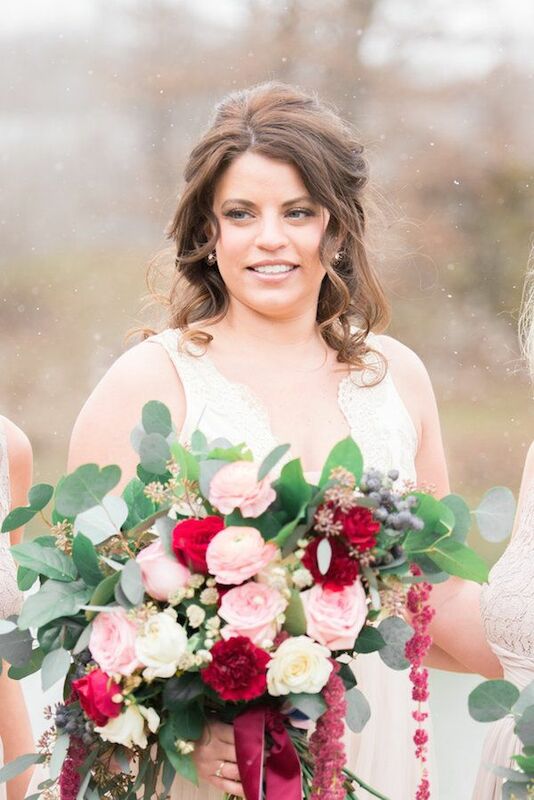 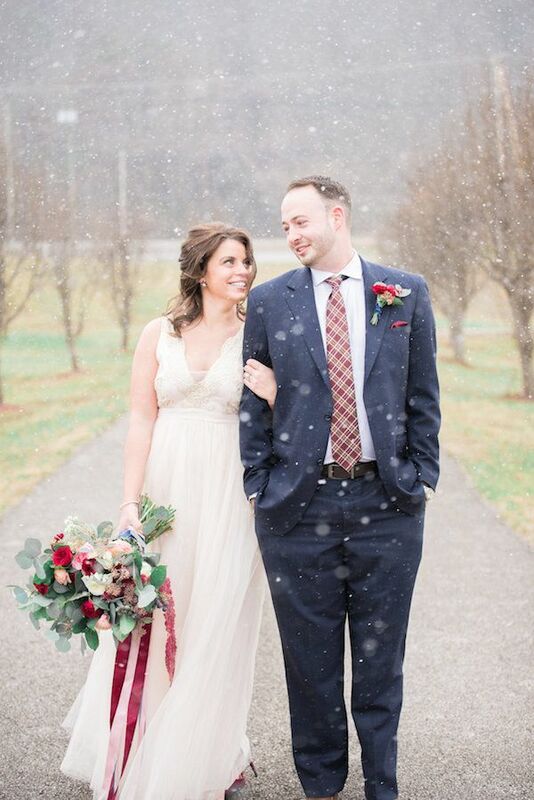 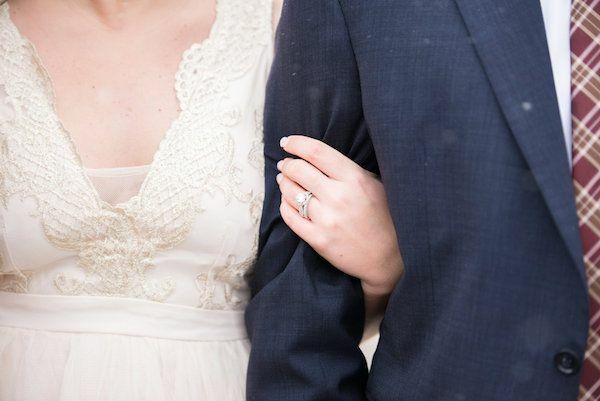 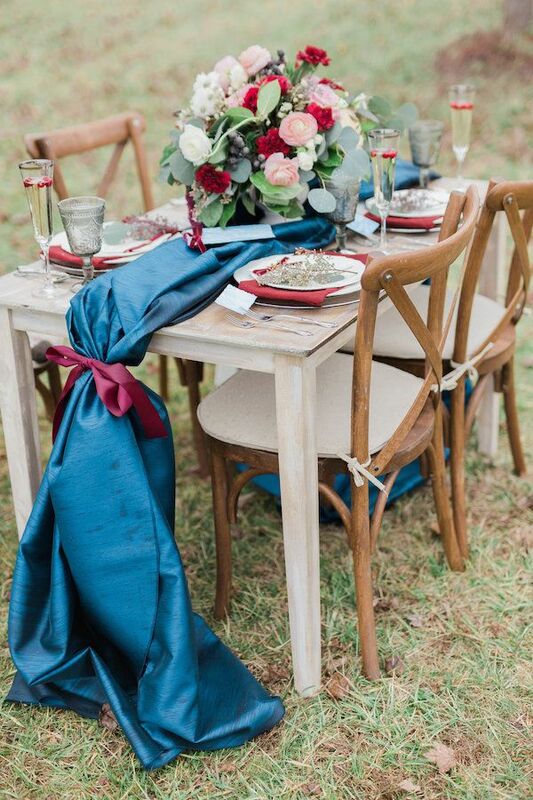 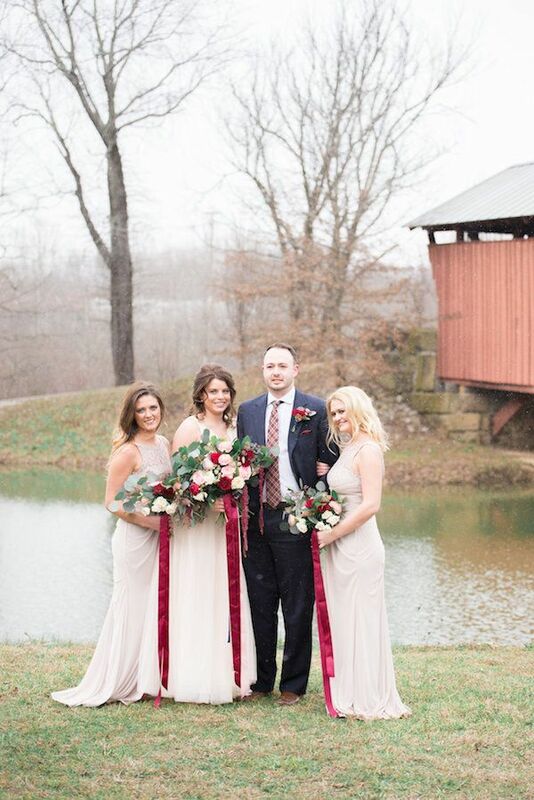 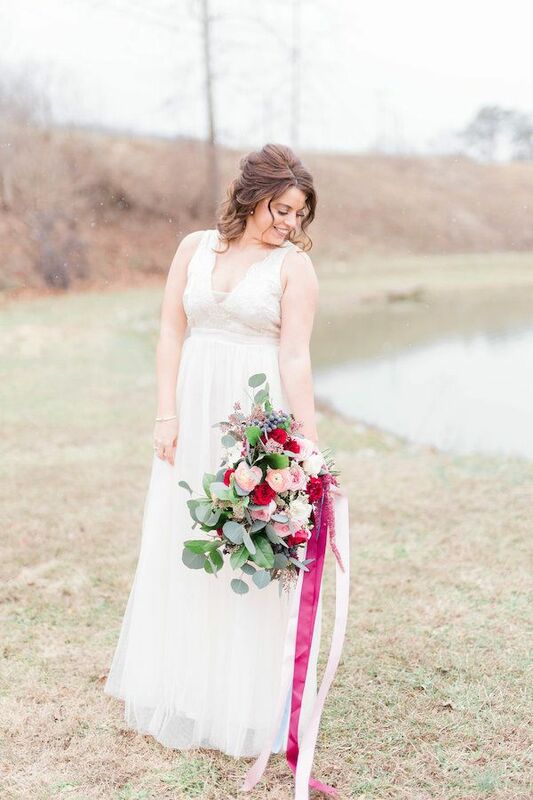 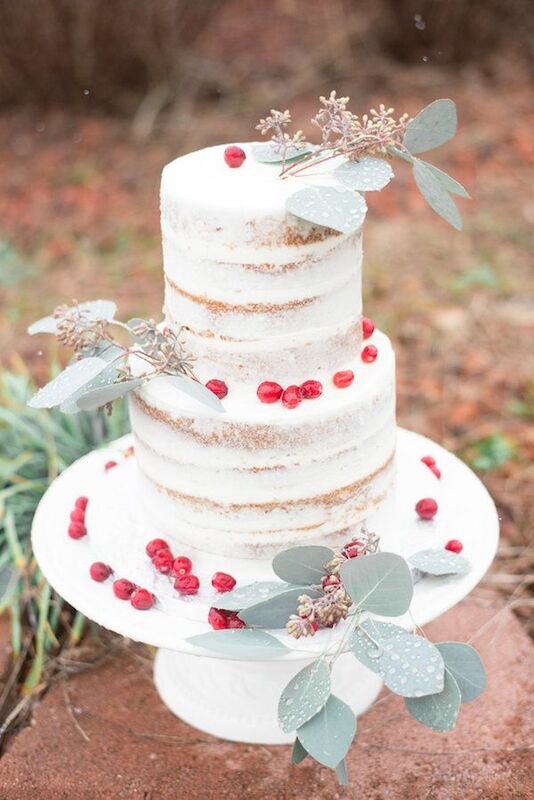 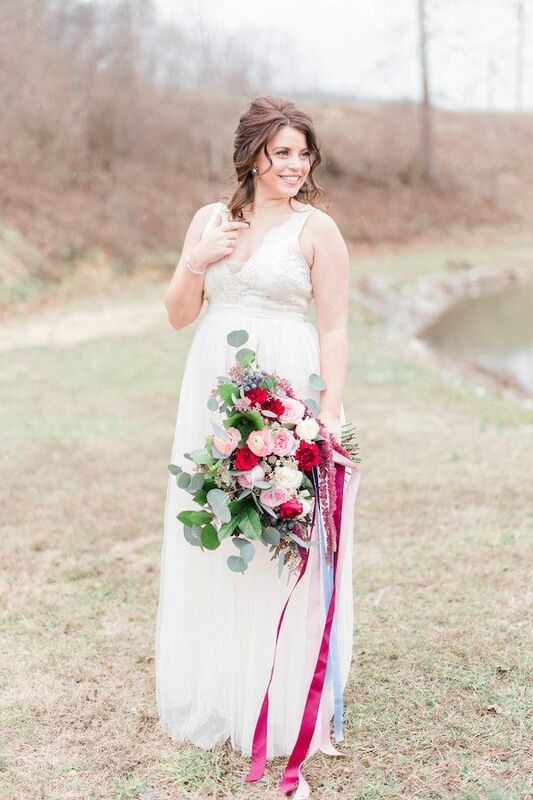 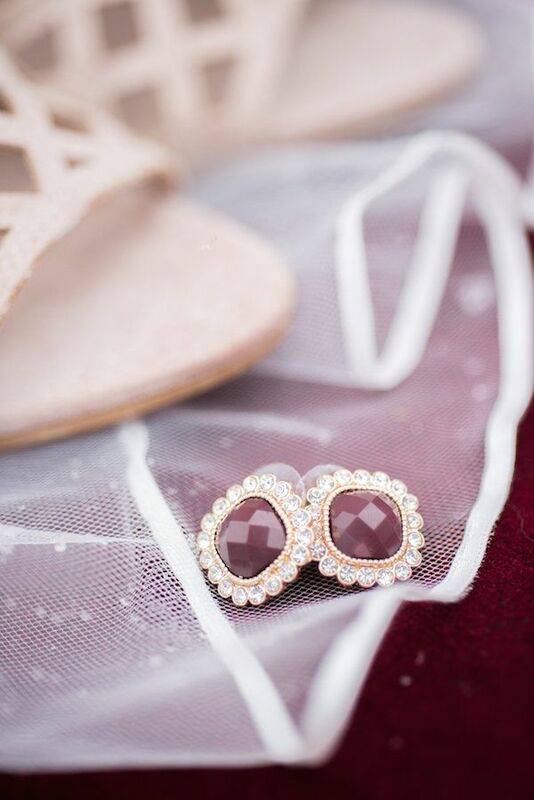 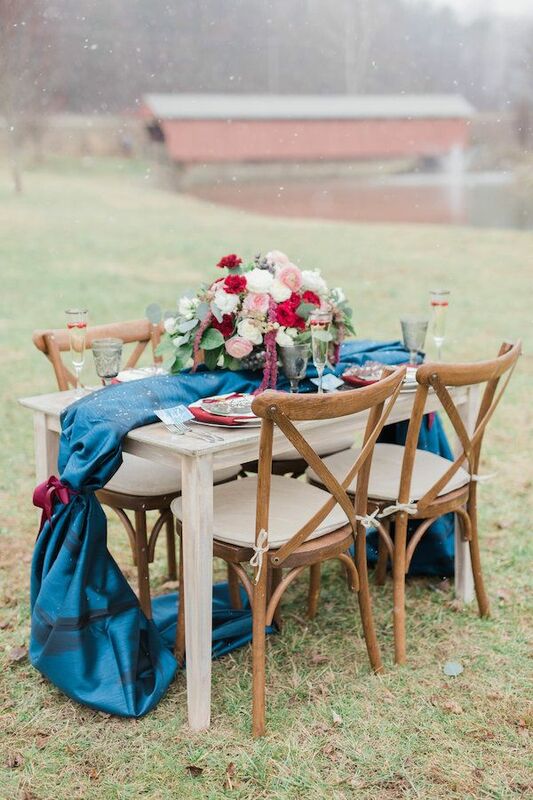 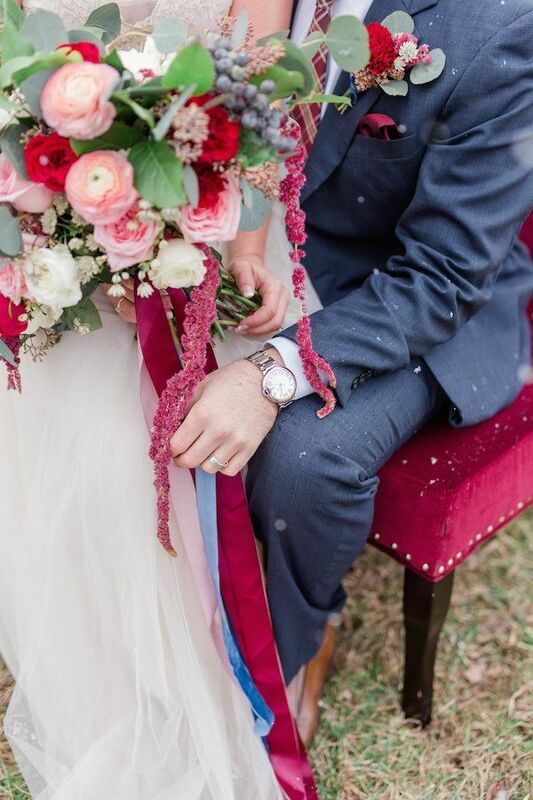 No Comment to " A Ruby Red Barn Winter Wedding Shoot "